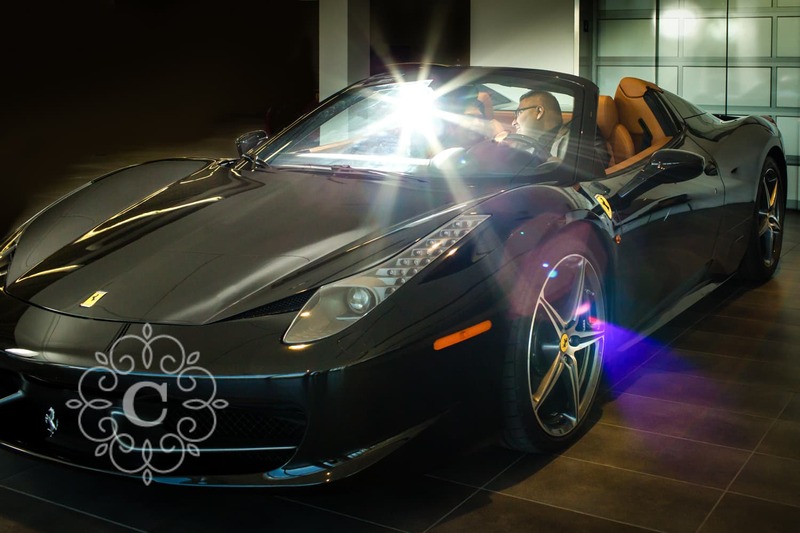 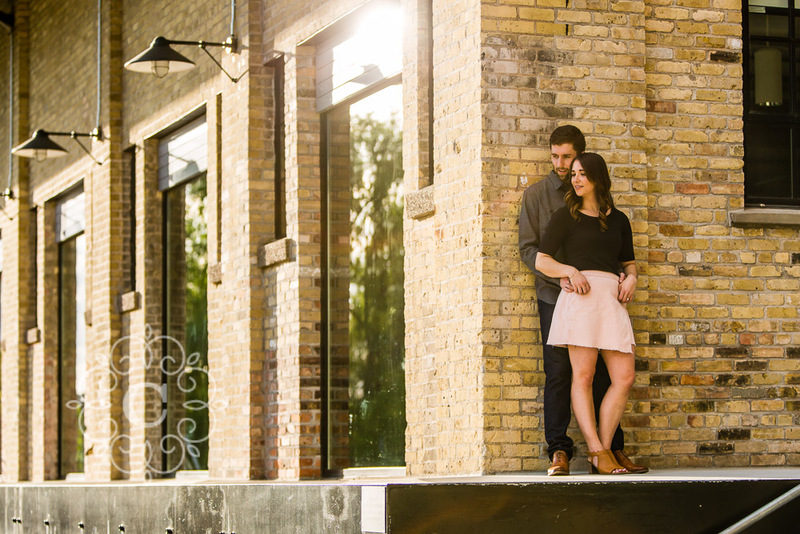 Chantel + Quinn are natives of the Twin Cities area. 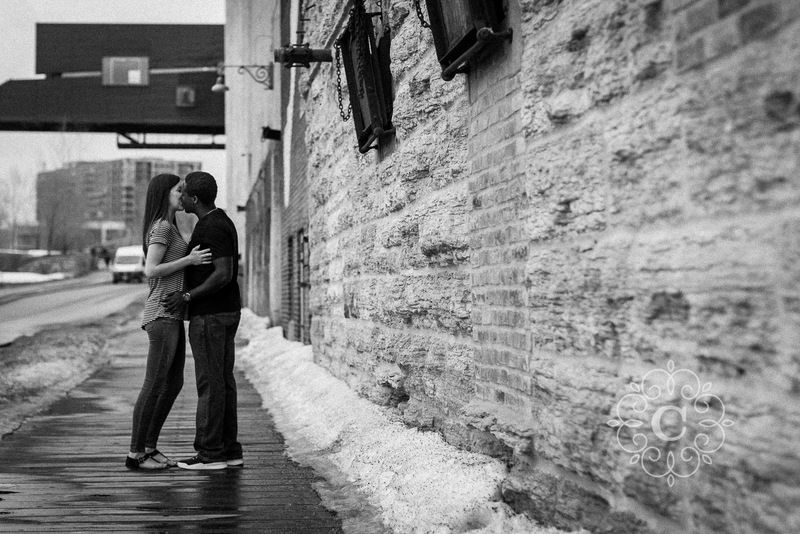 They grew up here, met here, and fell in love here. 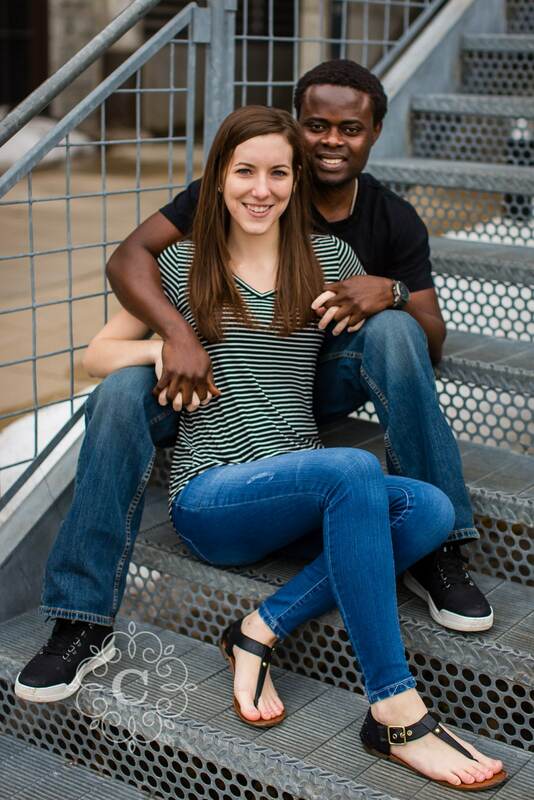 But they moved to Kansas City recently for job opportunities. 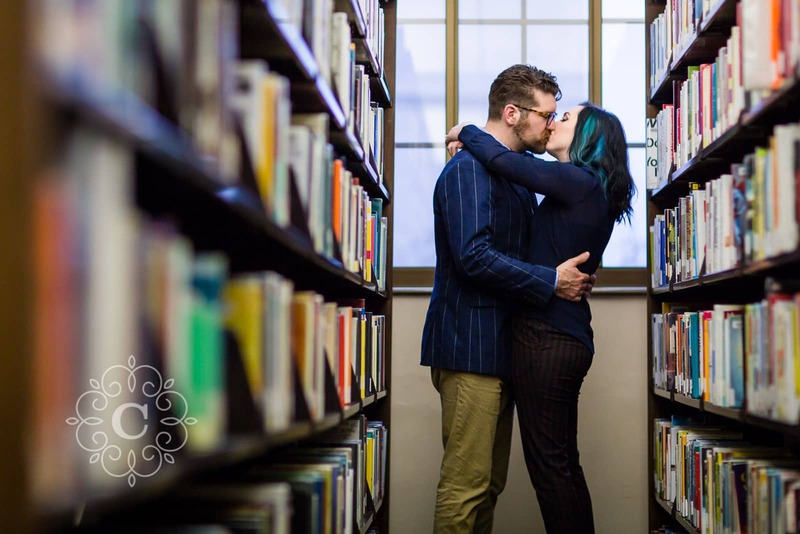 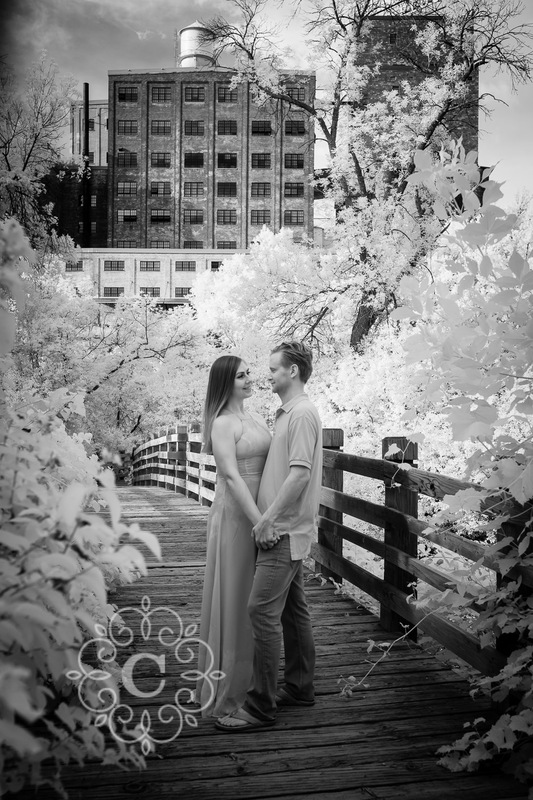 They still wanted to hold their wedding here in the Cities too, and chose to work with me as their Minneapolis wedding photographer too. 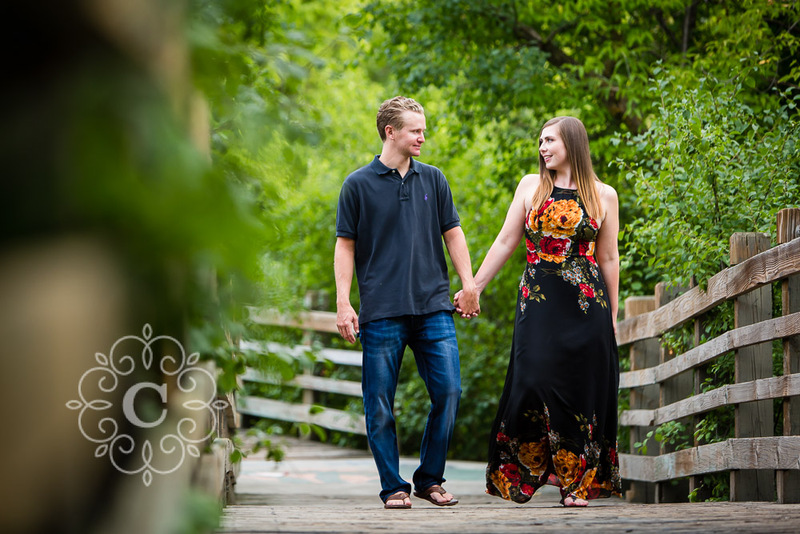 I’m so glad they did, they are so much fun! 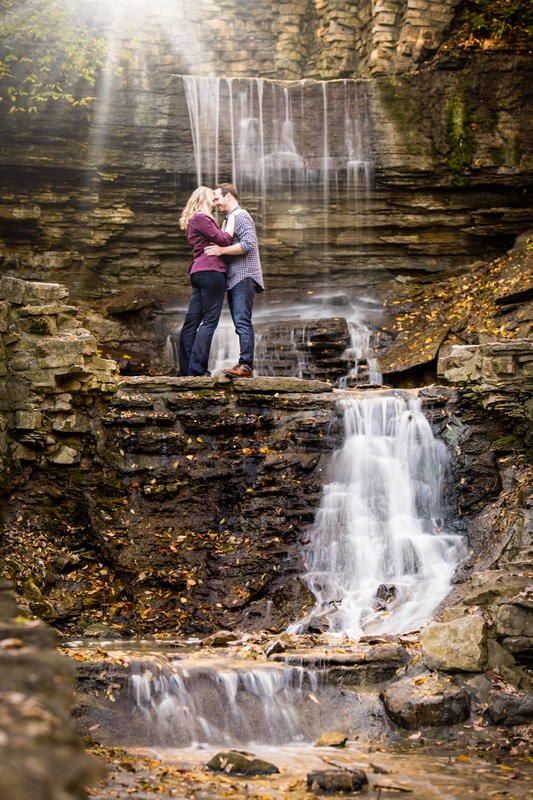 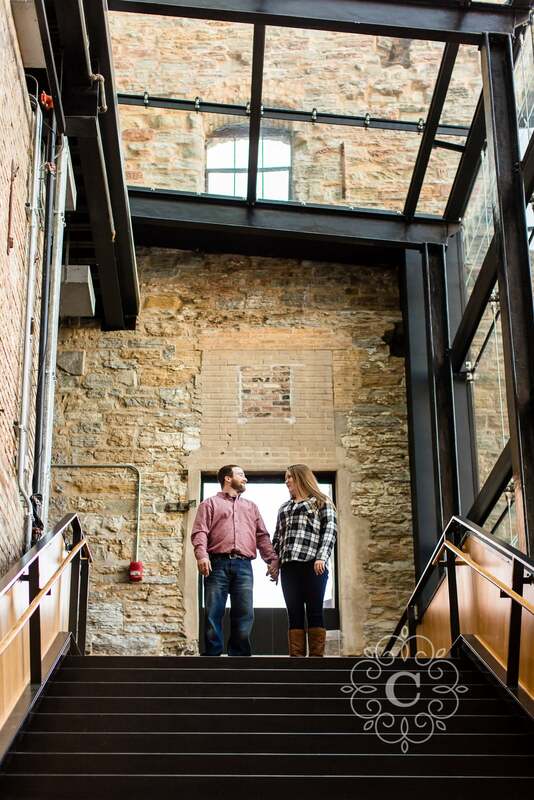 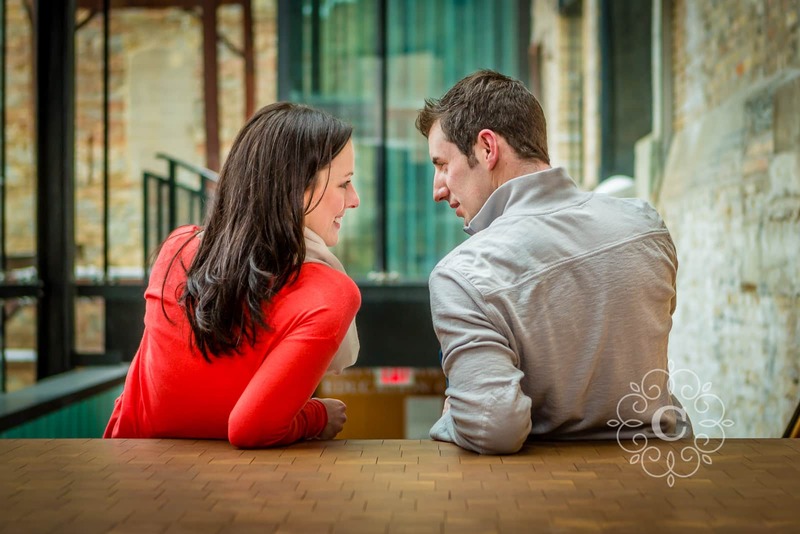 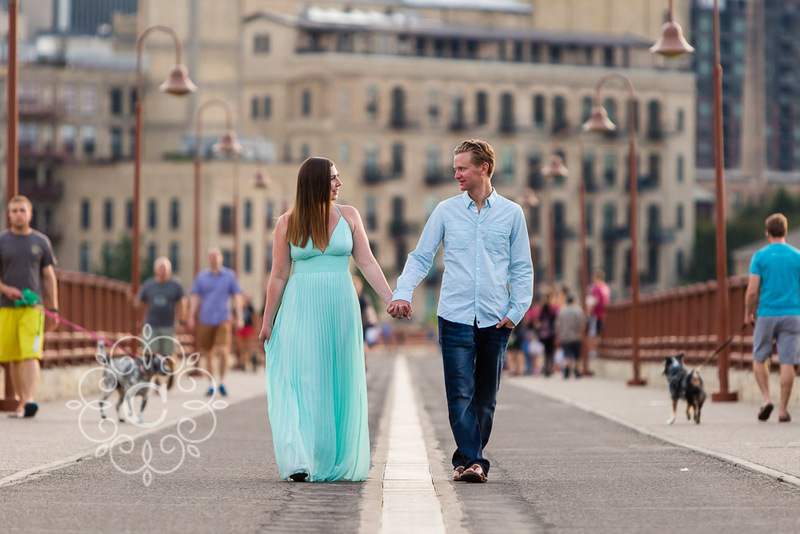 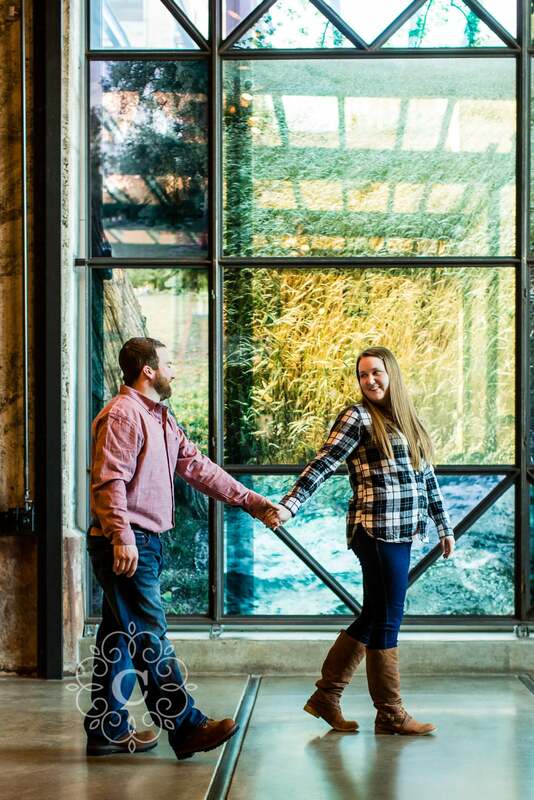 Chantel + Quinn wanted to take advantage of a St Anthony Main and Stone Arch Bridge engagement photography session. 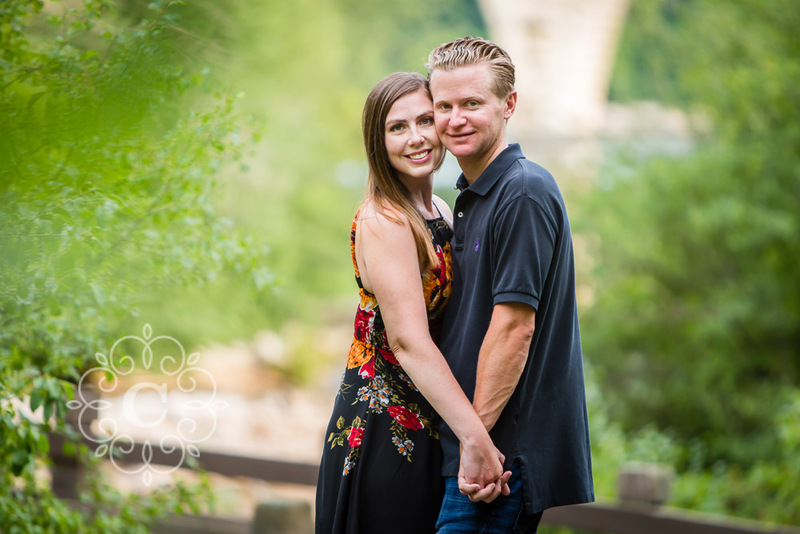 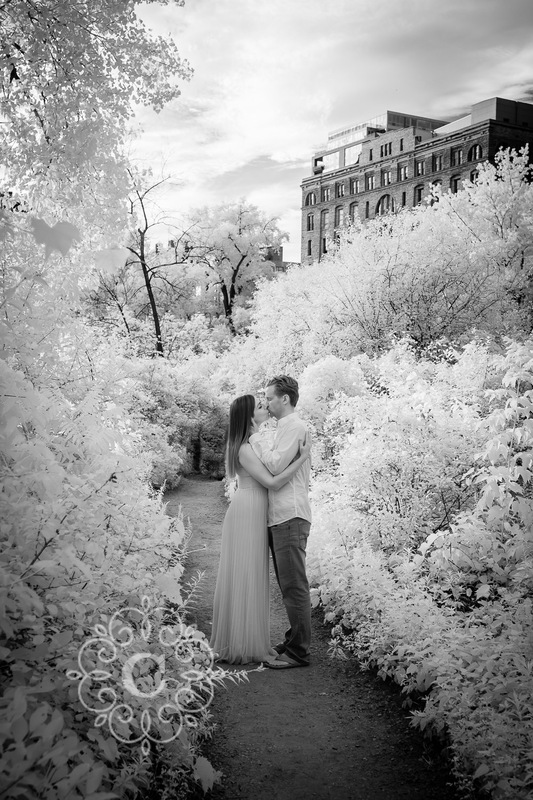 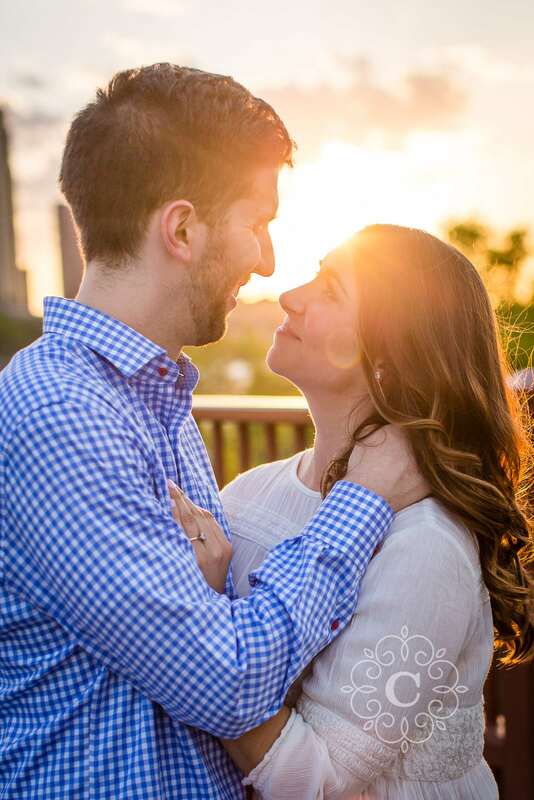 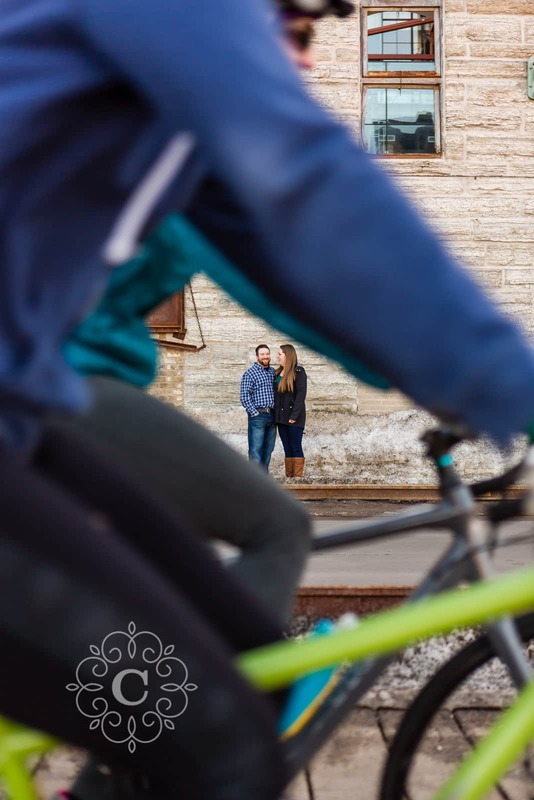 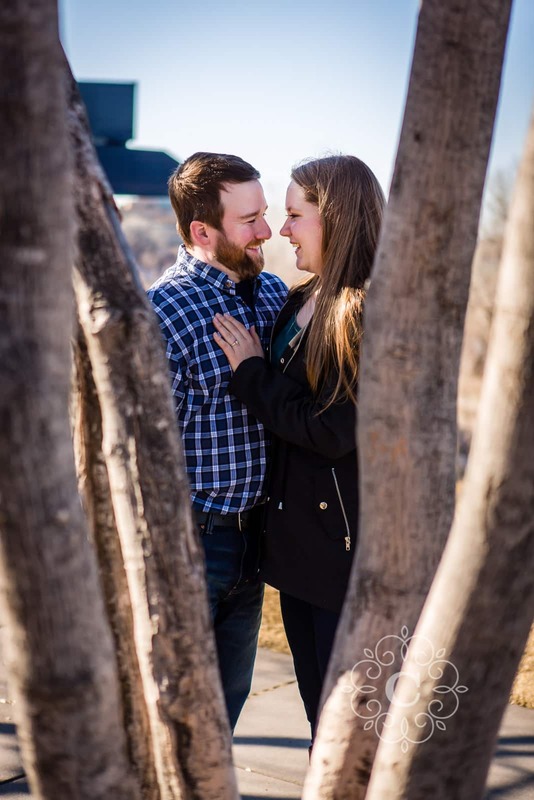 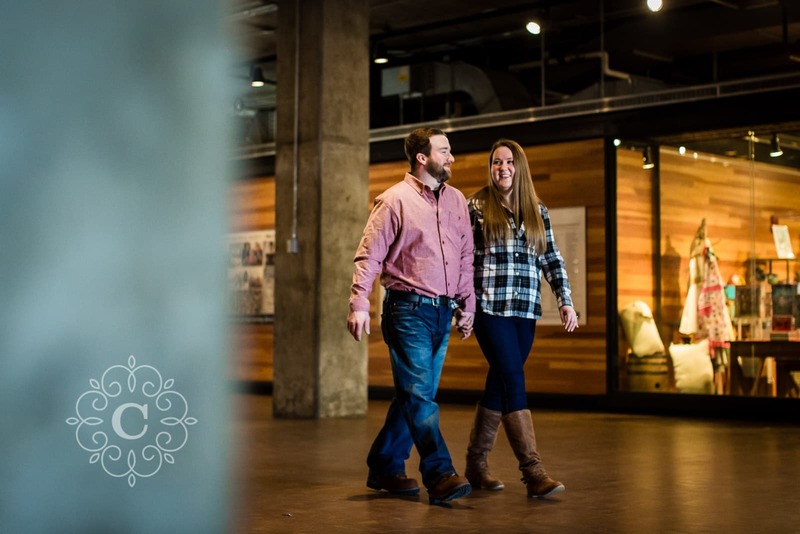 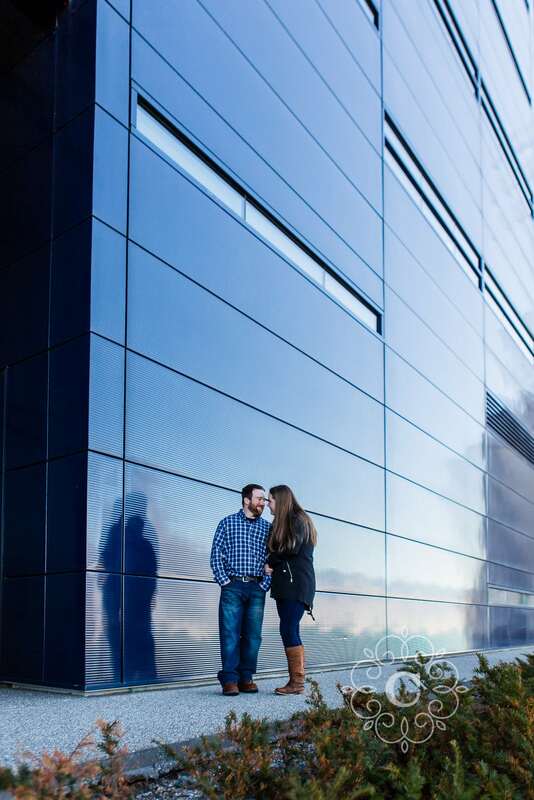 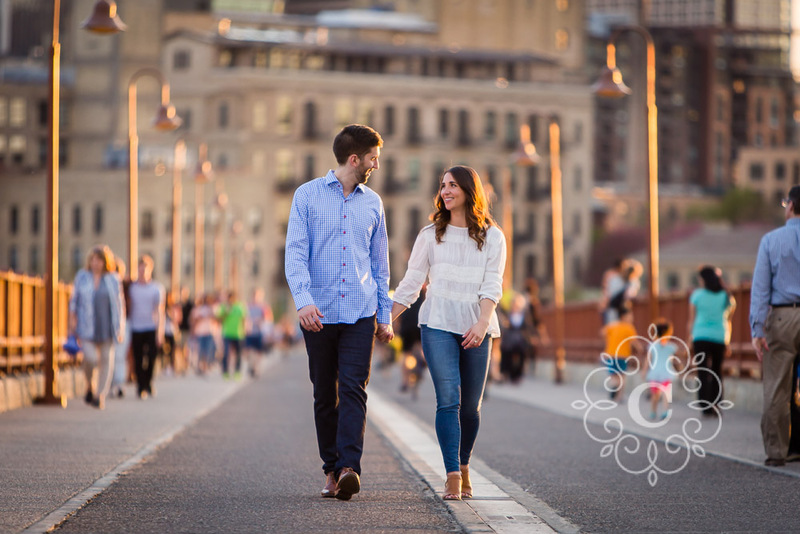 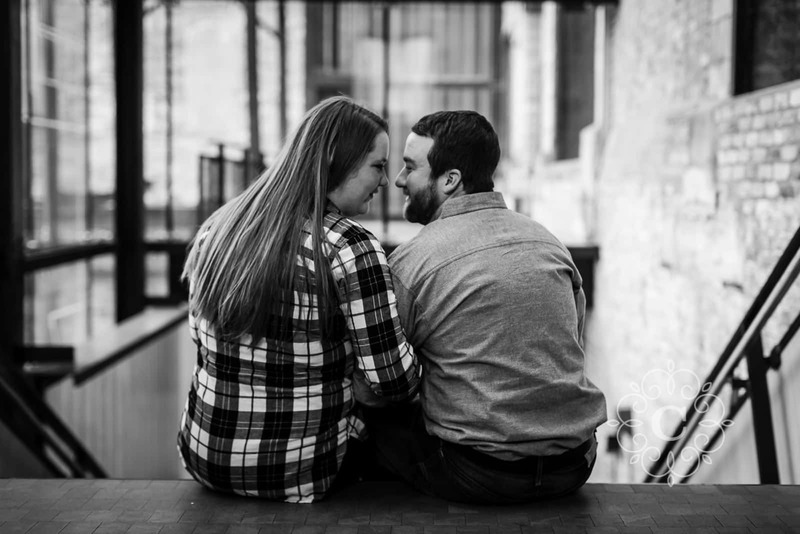 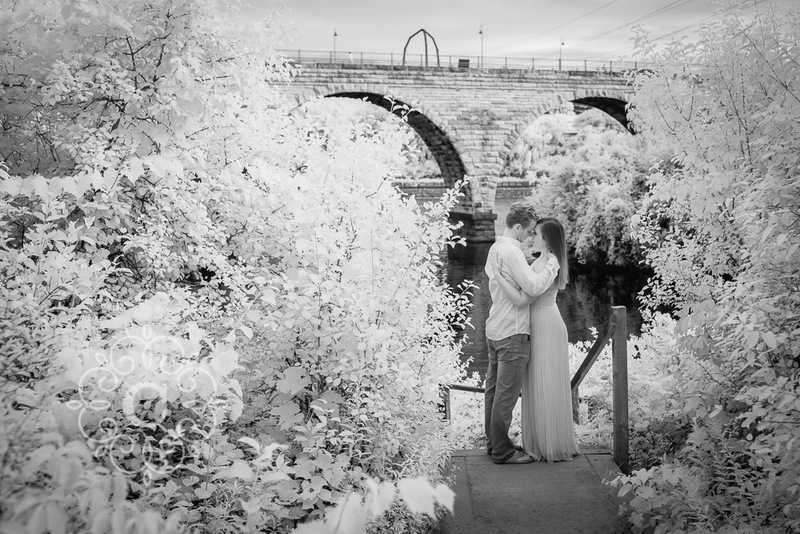 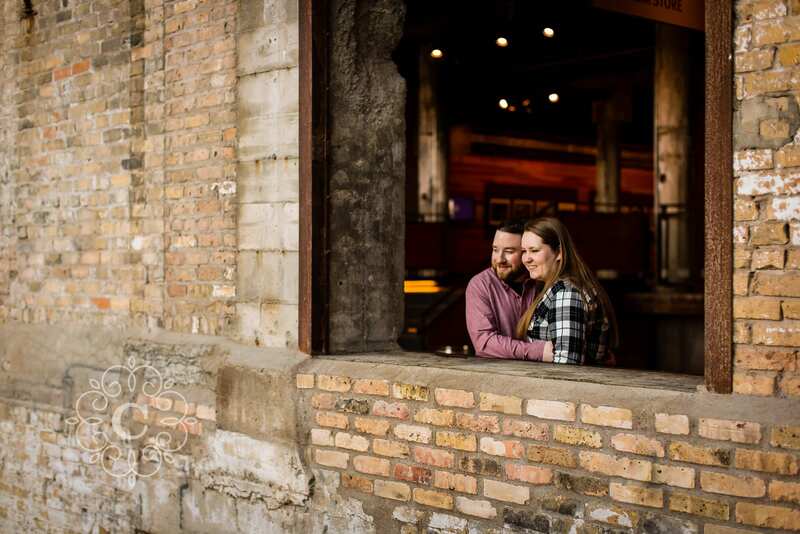 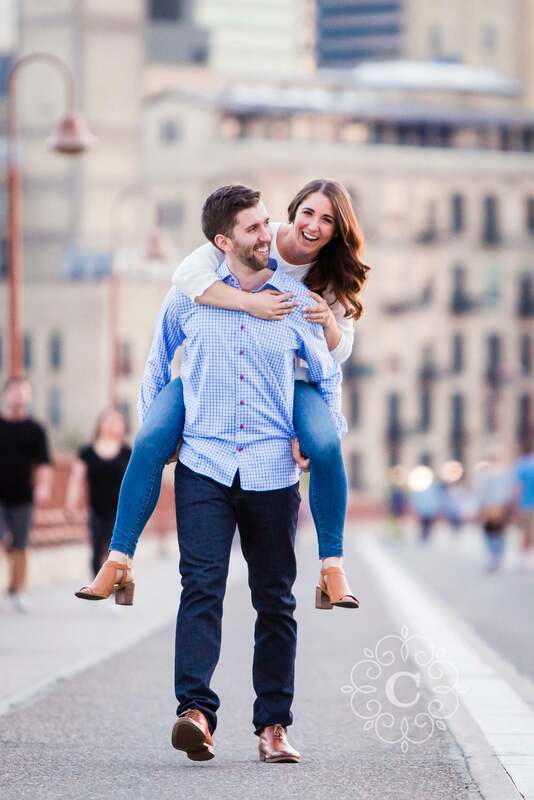 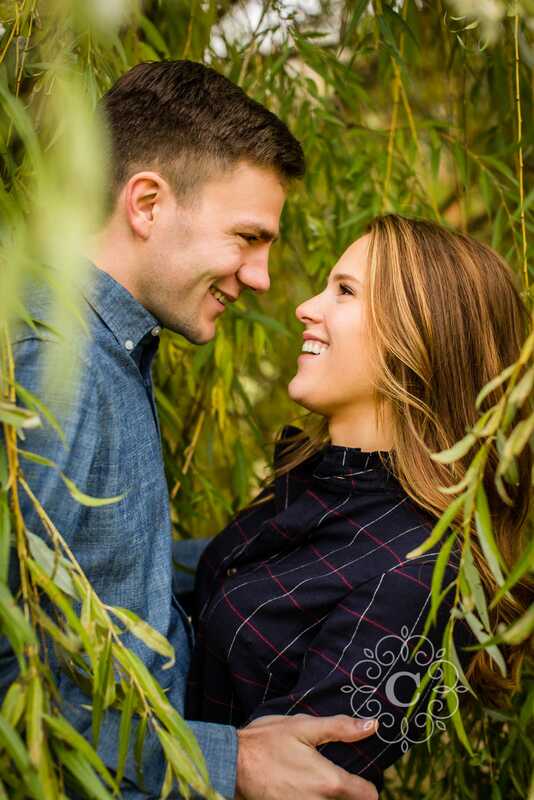 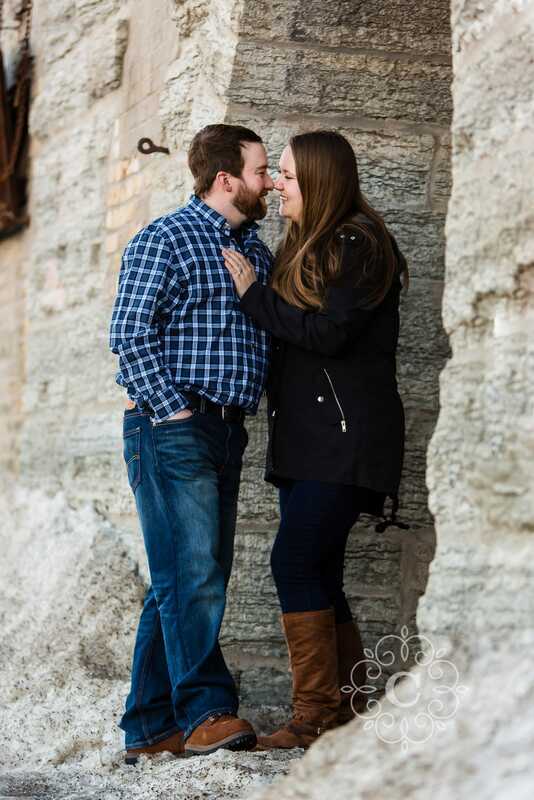 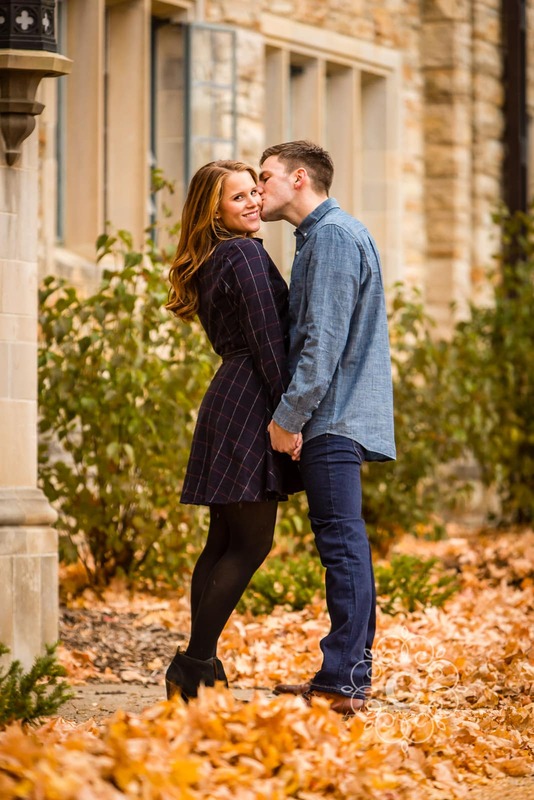 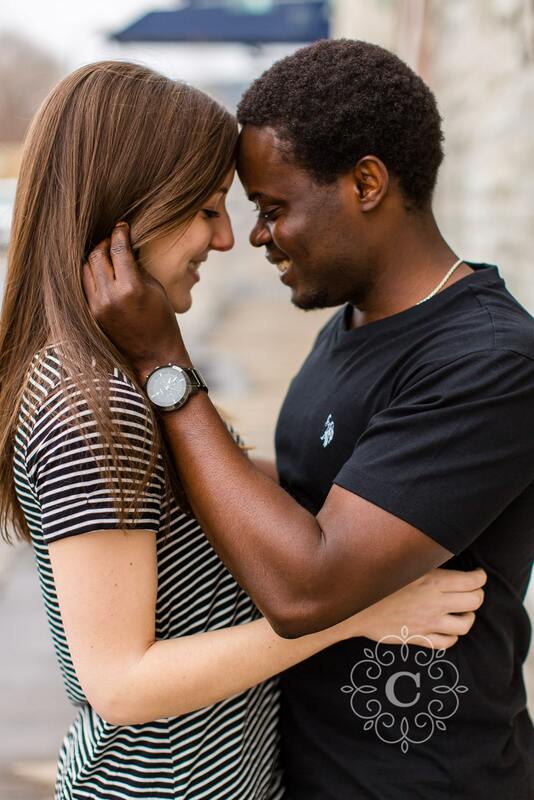 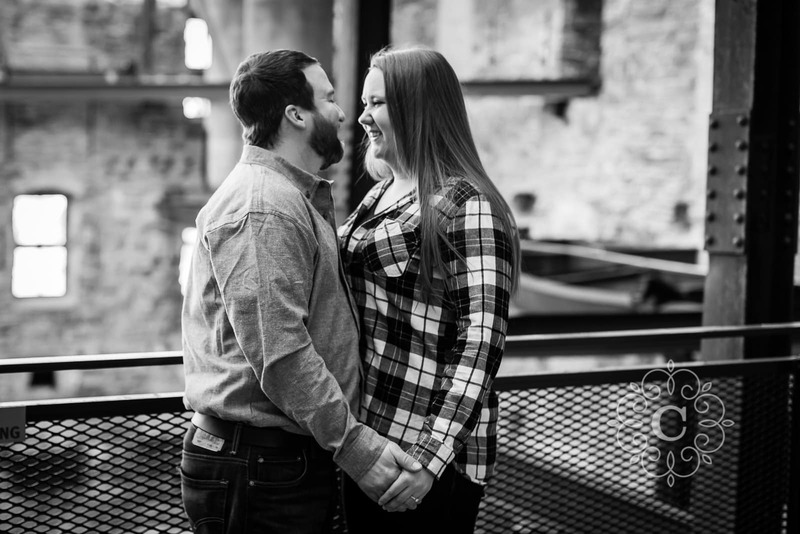 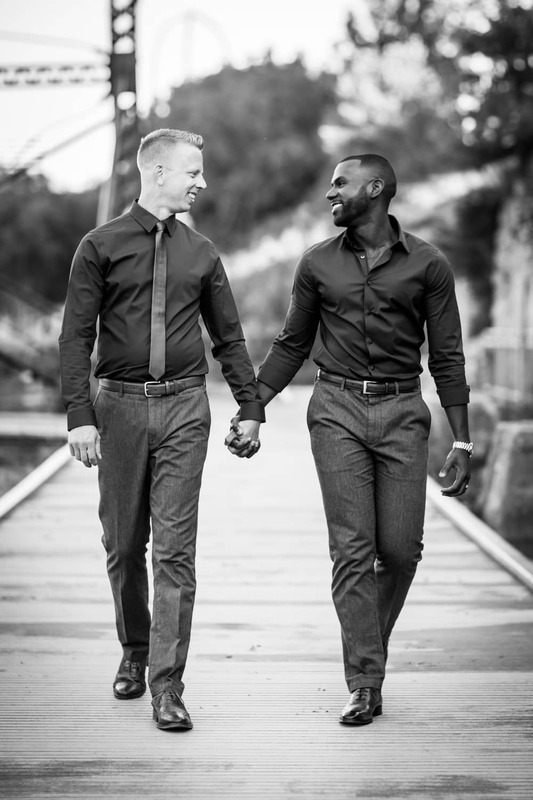 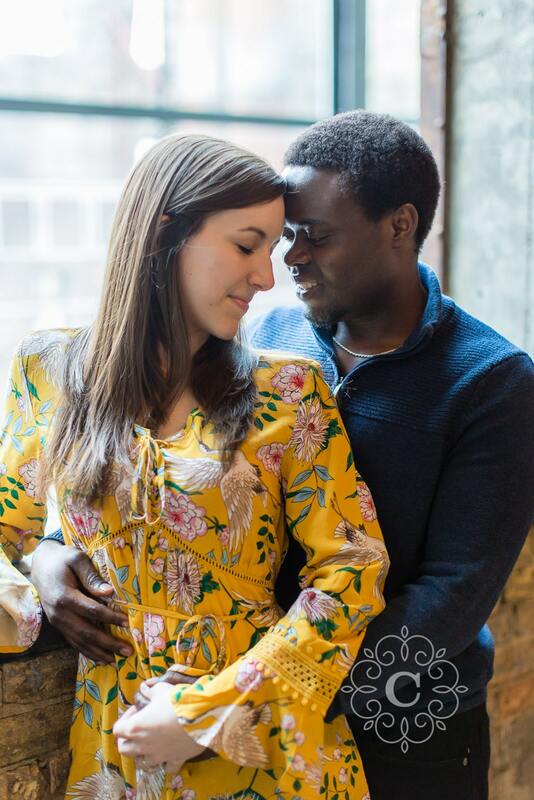 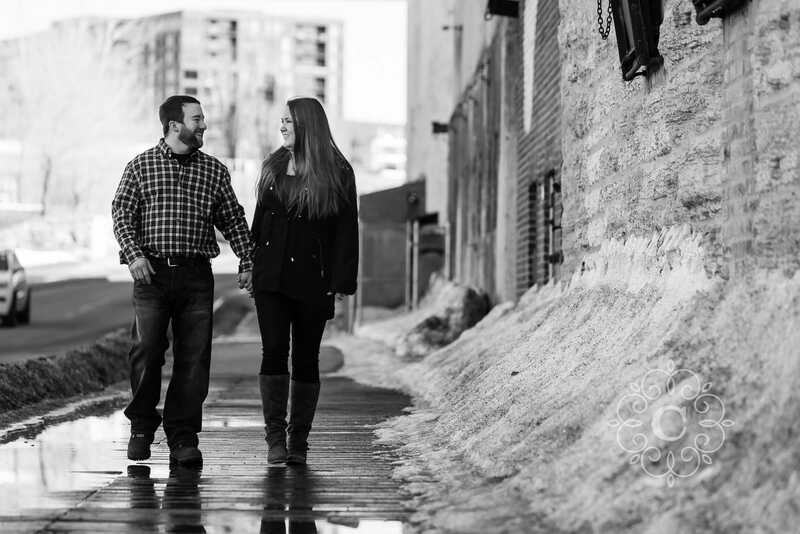 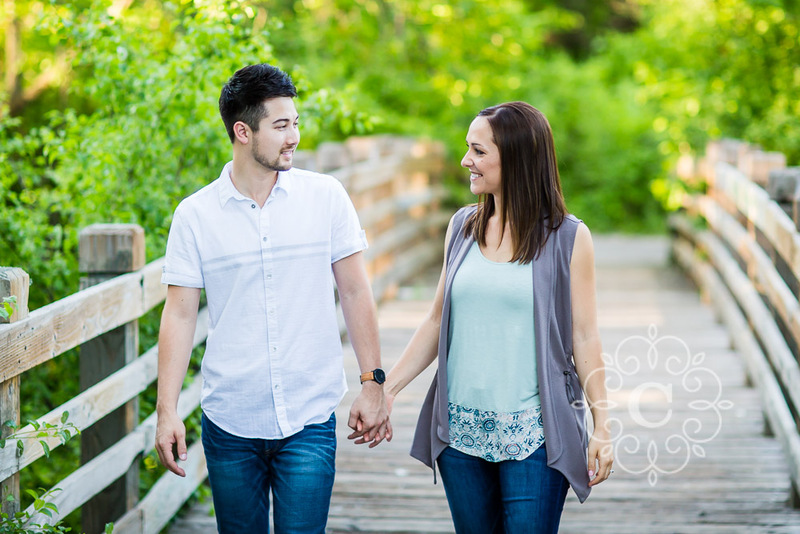 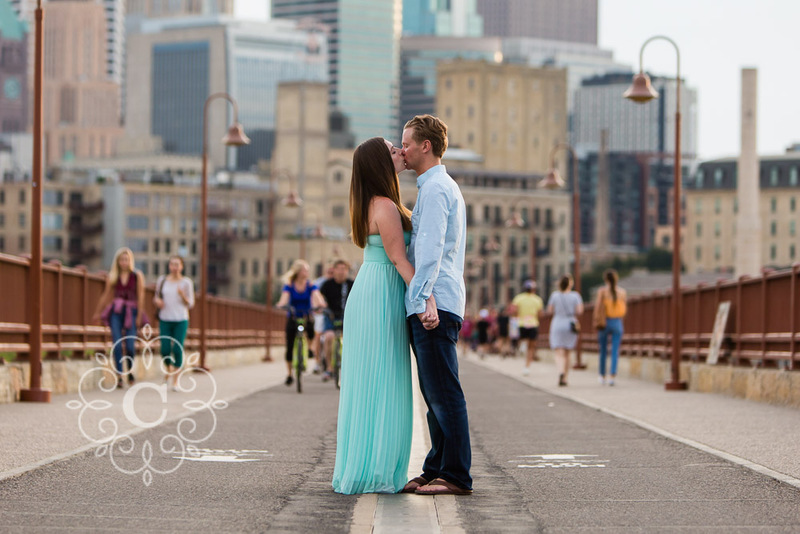 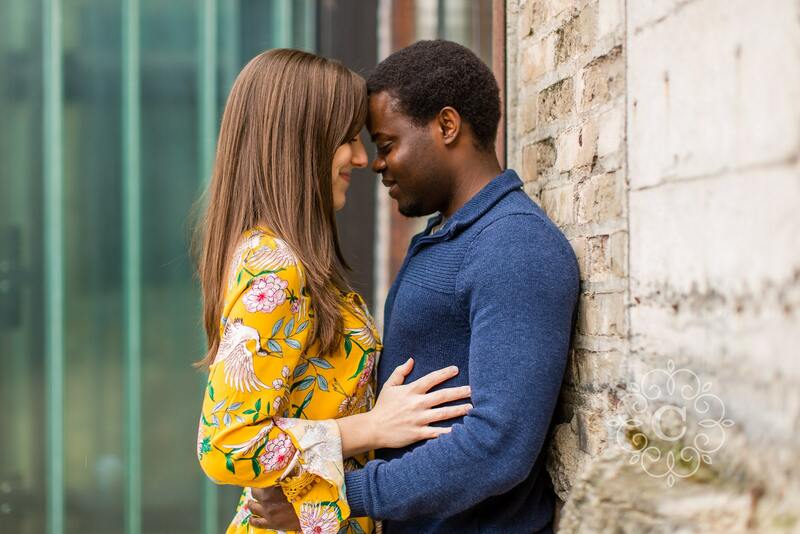 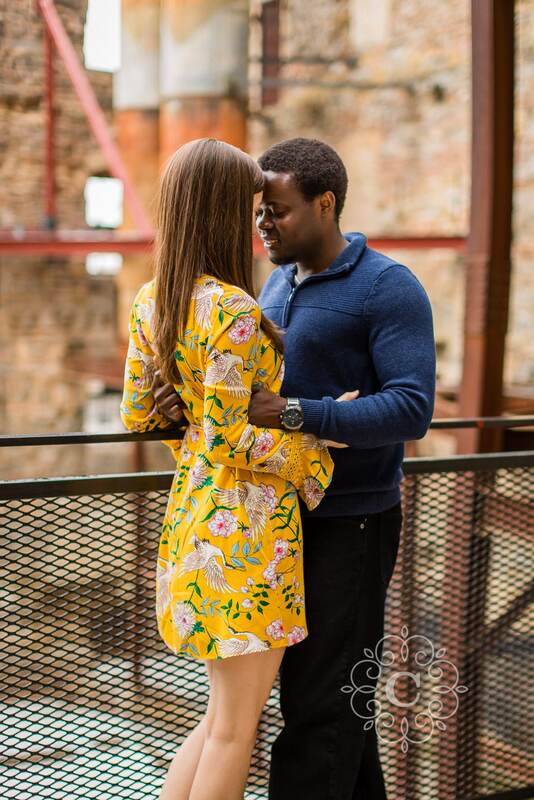 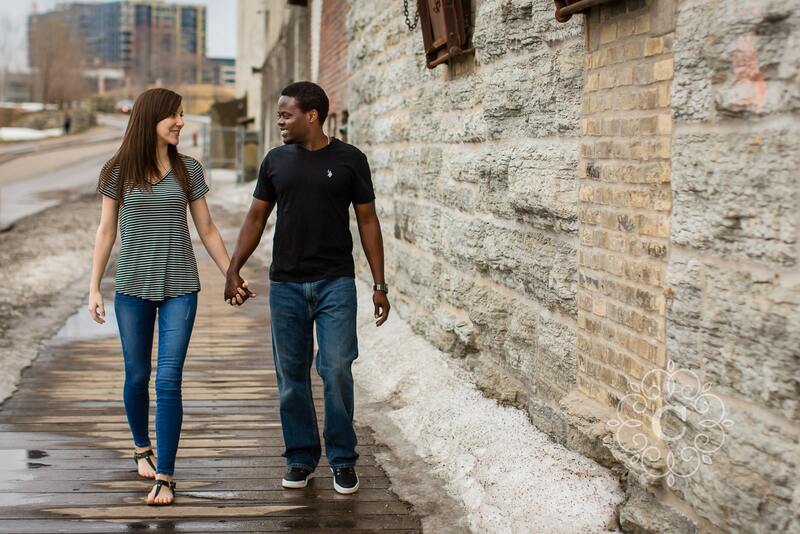 Because the Minneapolis area is their “homeland”, they decided to have their prewedding photography taken at the quintessential Stone Arch Bridge and St Anthony Main area. 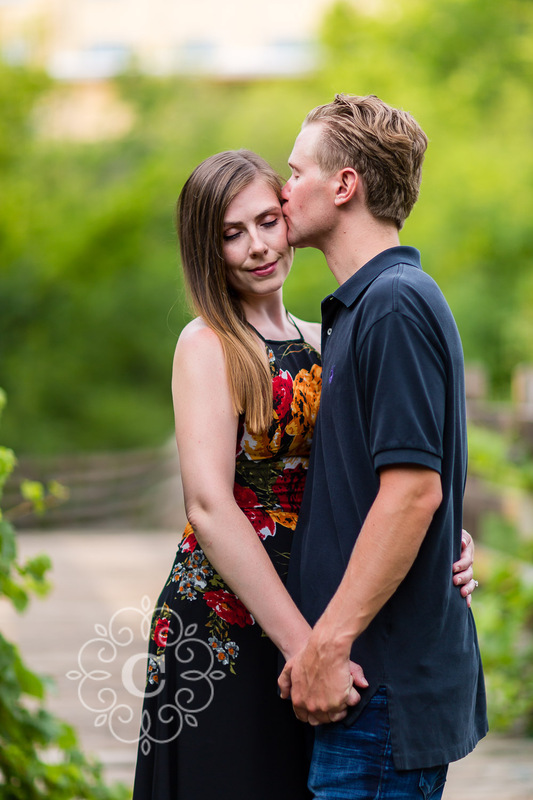 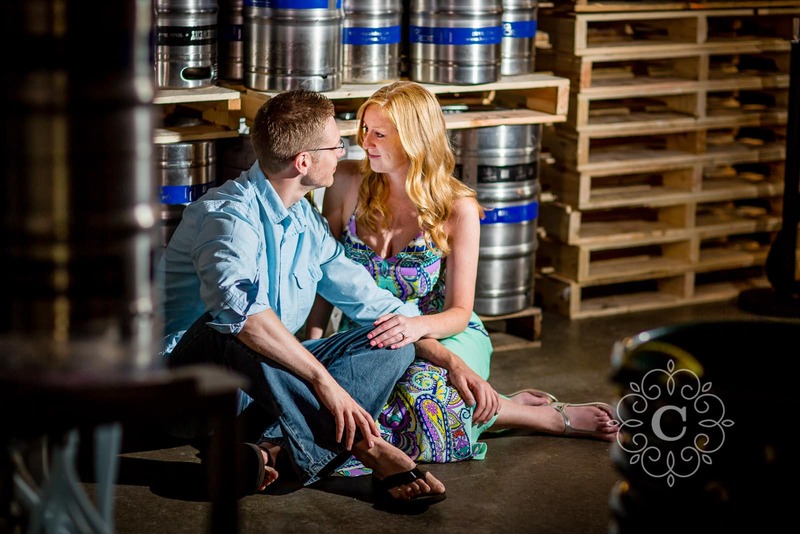 We had to plan their session in advance for a weekend they could make the return five hour drive. 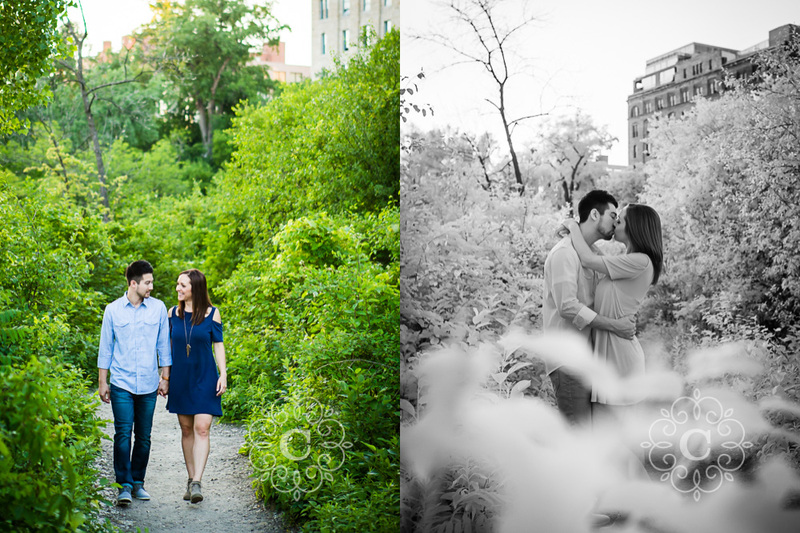 Low and behold, the weather on their session date in May was absolutely perfect. 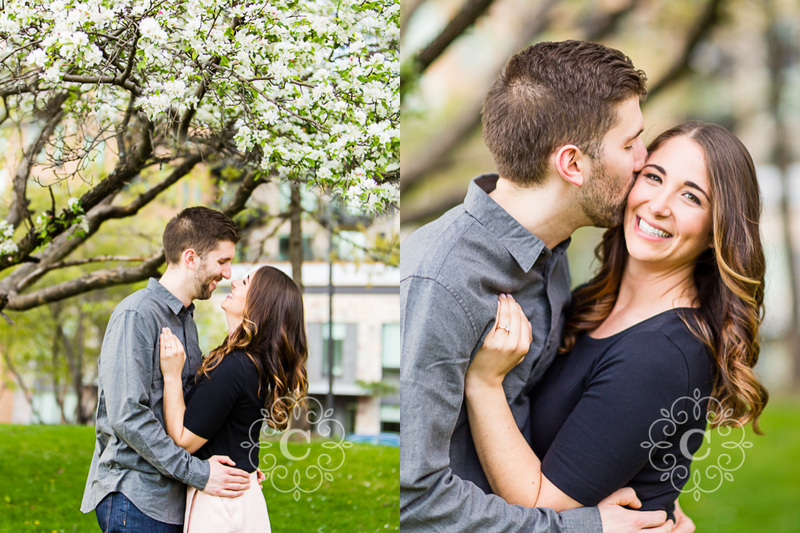 The sun was shining, the air was warm, and the flowers were in full bloom. 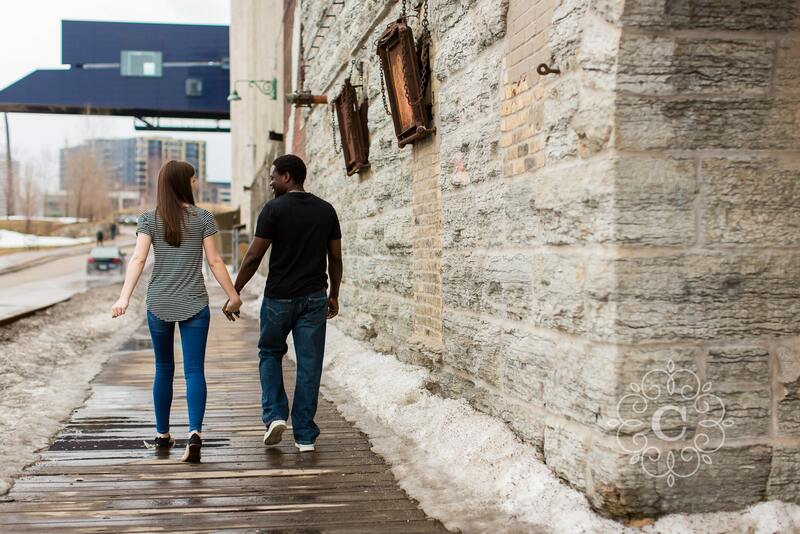 It was an ideal spring day! 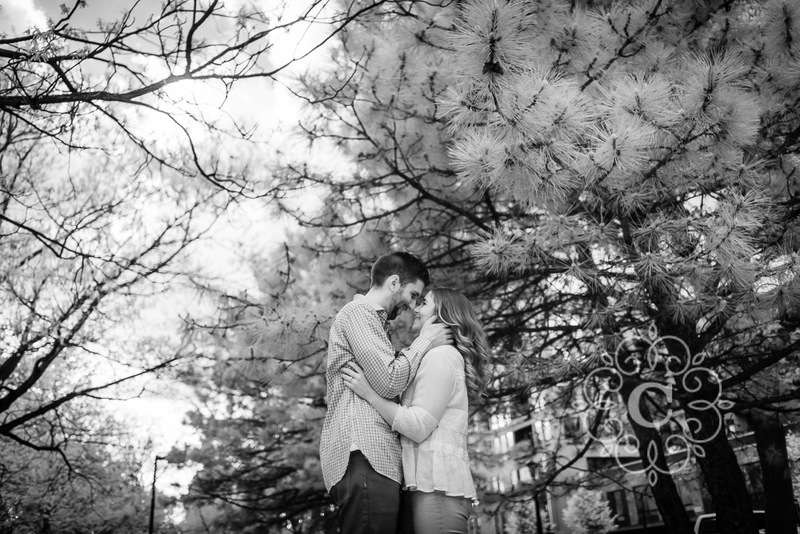 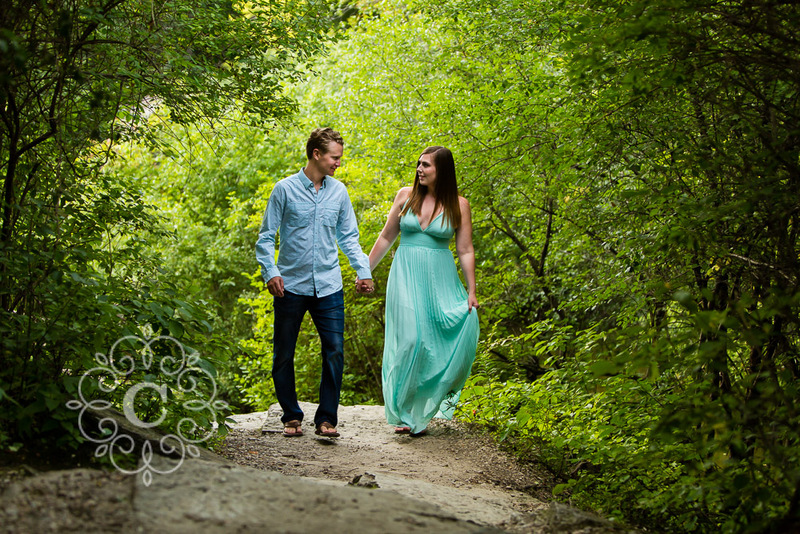 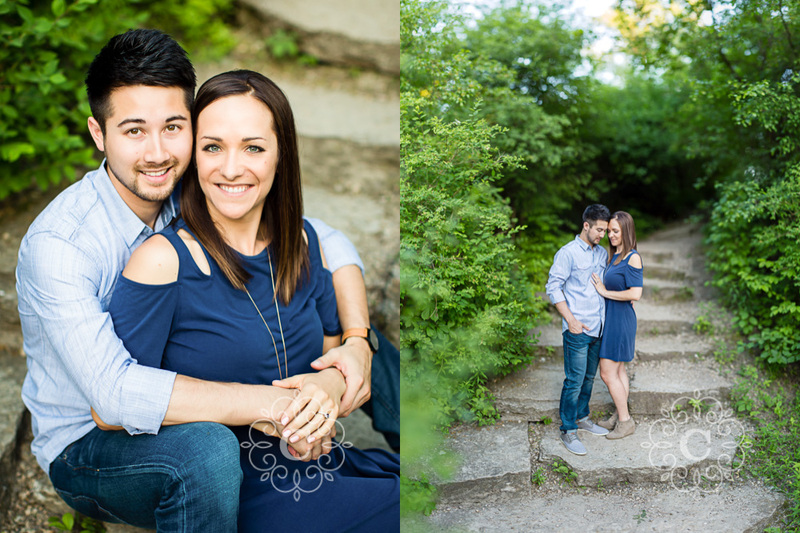 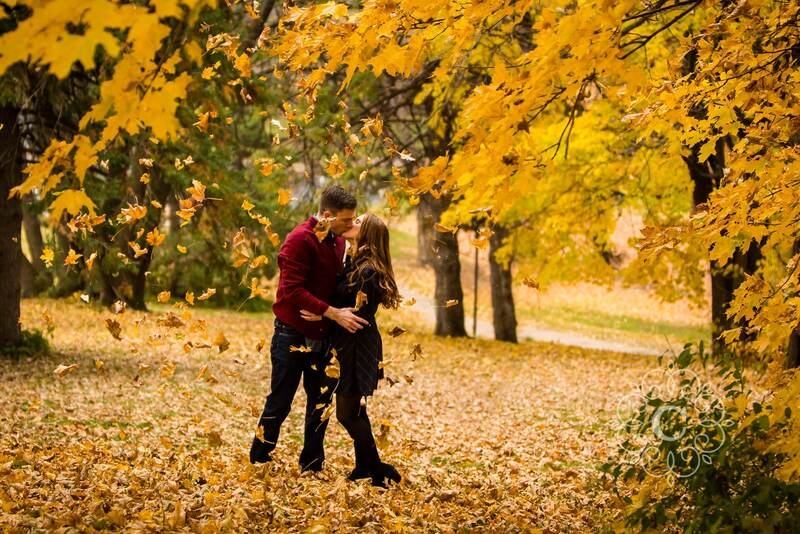 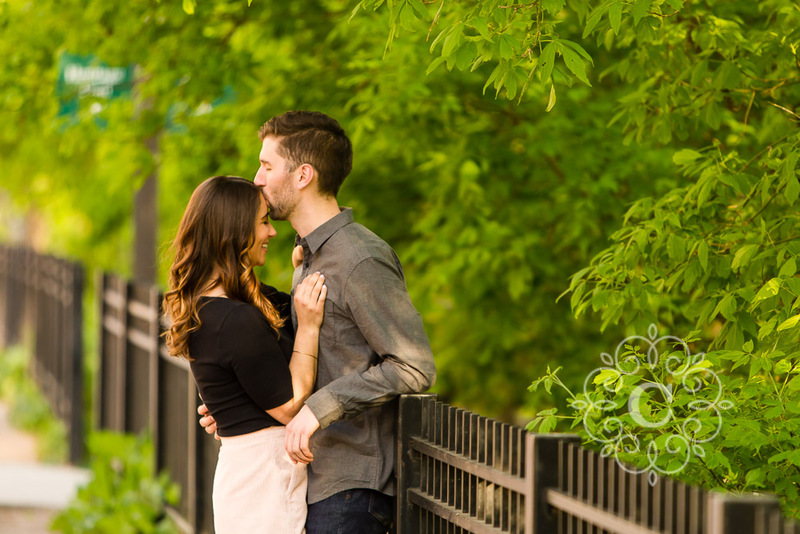 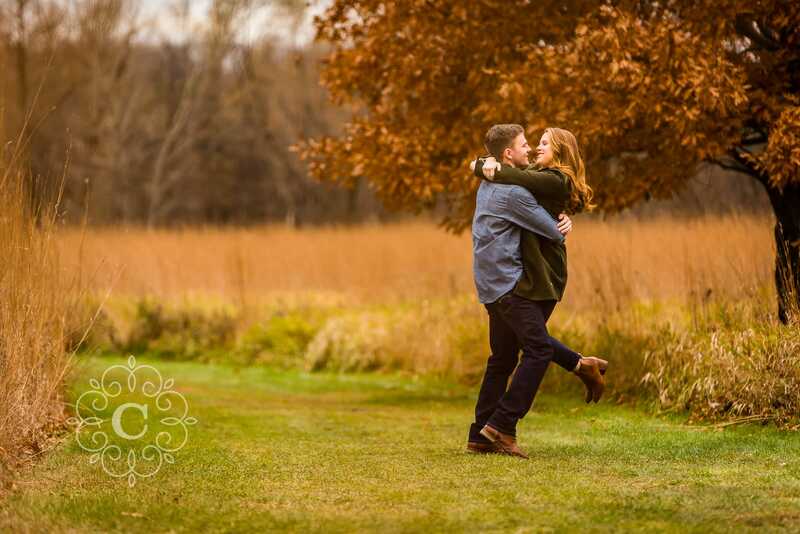 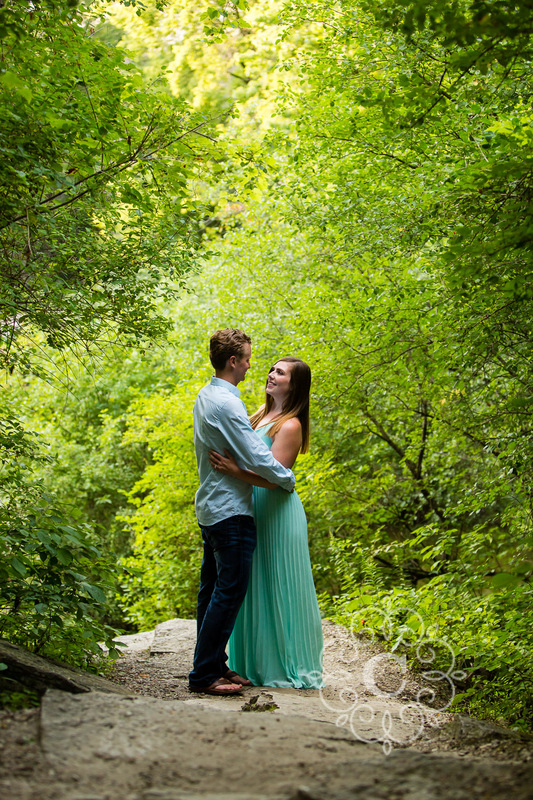 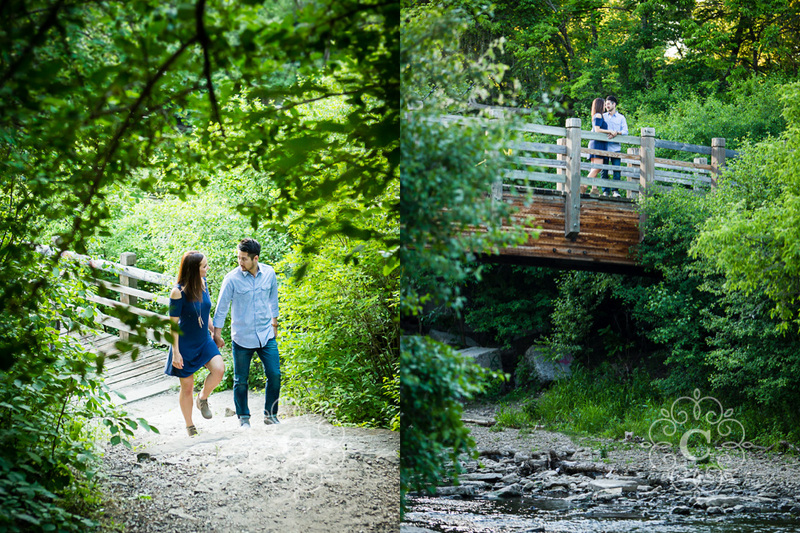 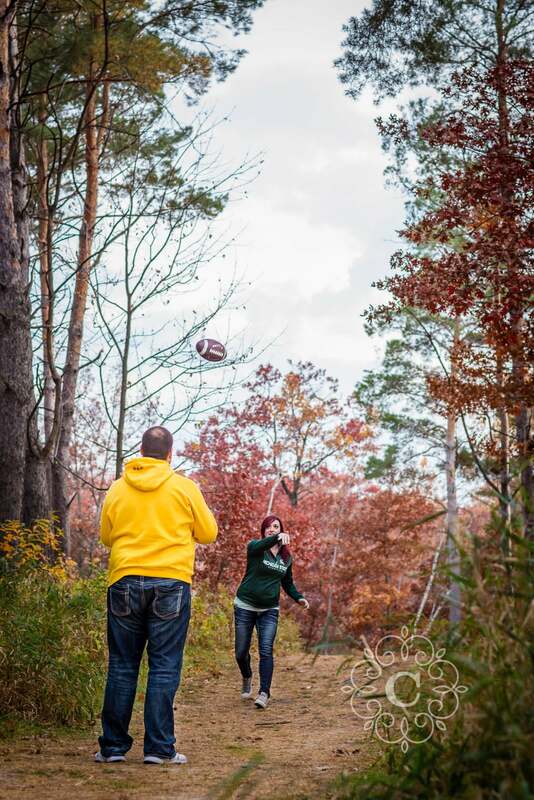 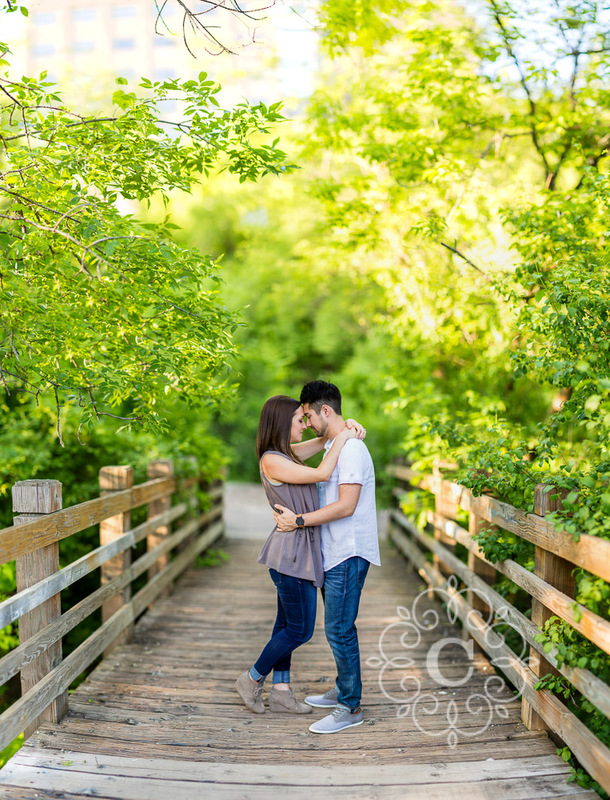 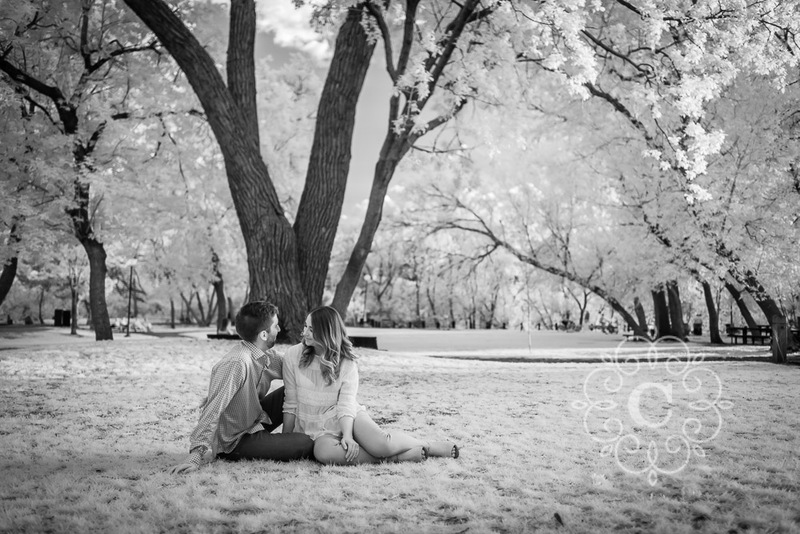 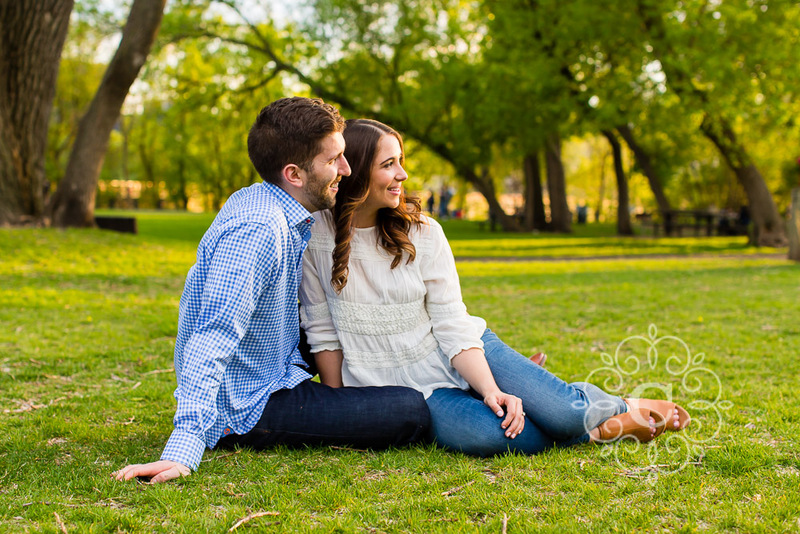 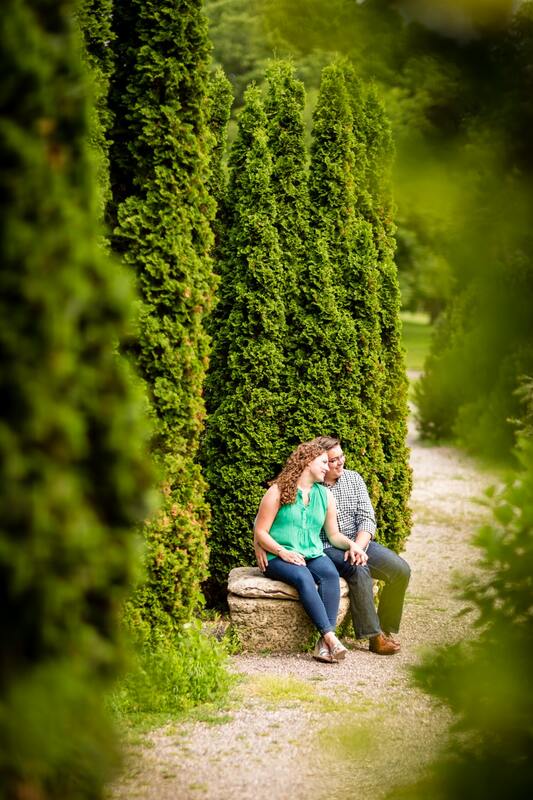 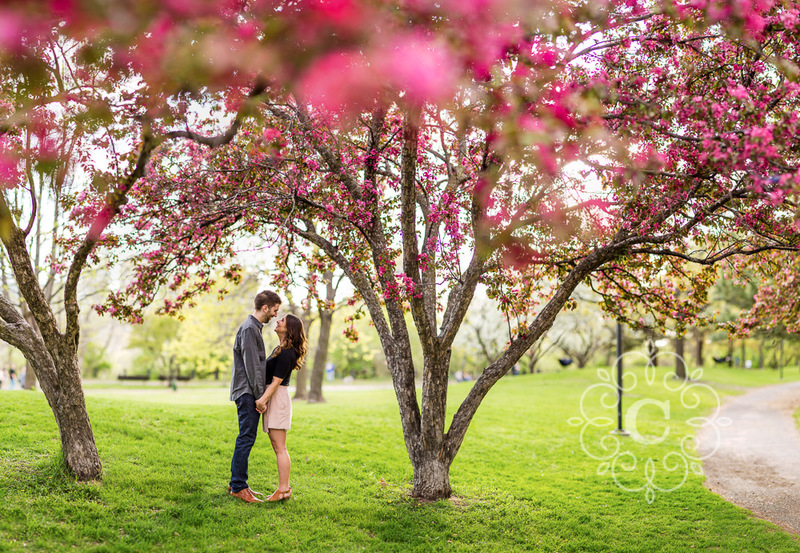 We started their engagement photography session among the gorgeous flowering trees of Father Hennepin Bluff Park. 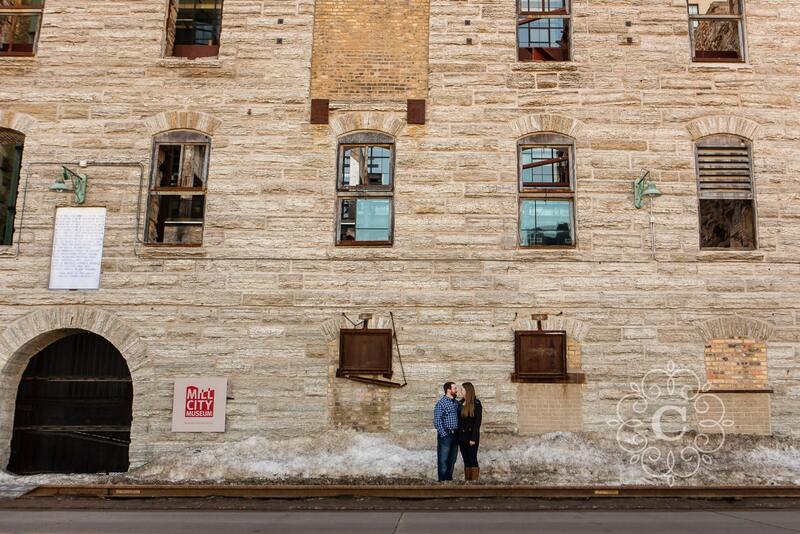 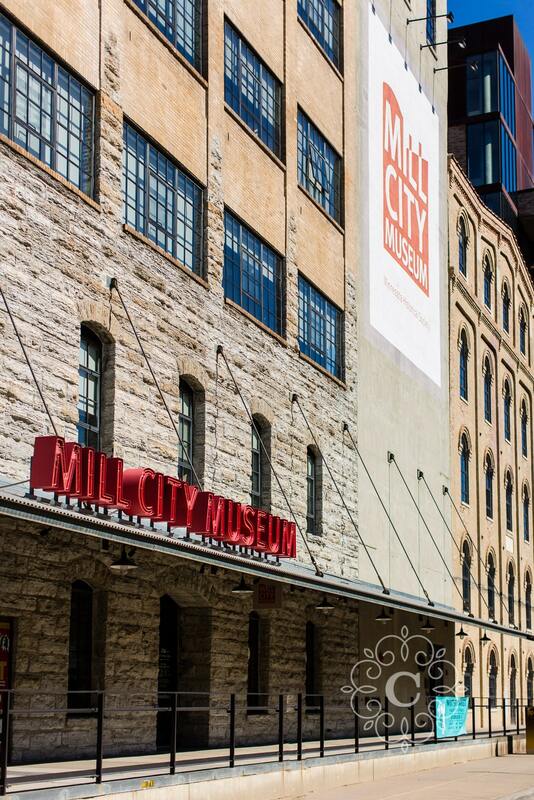 We then wandered up and down St Anthony Main, lingering among the architecture of the vintage mills and buildings. 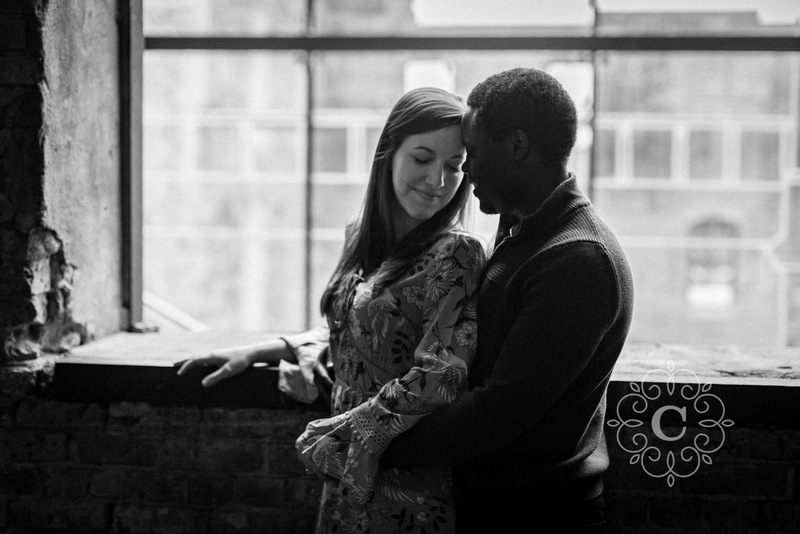 They made such a stunning, vintage-urban backdrop. 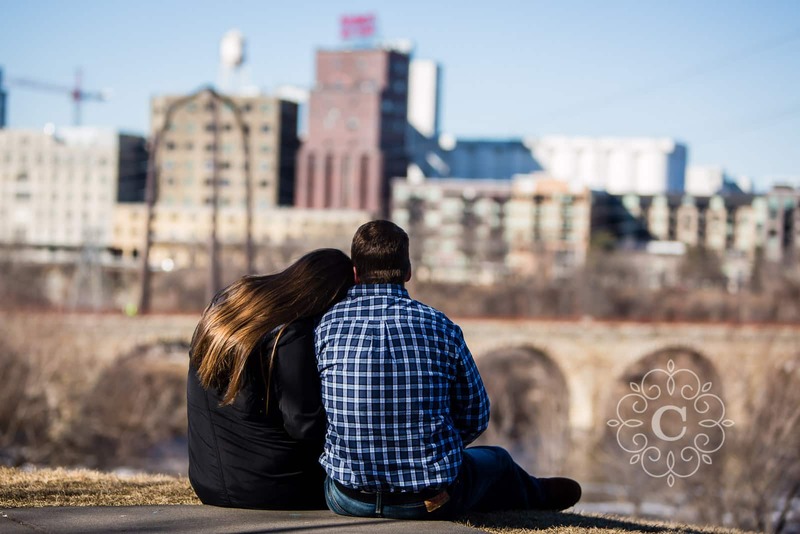 We eventually worked our way back down St Anthony Main, through Father Hennepin Bluffs Park, and out to the Stone Arch Bridge for a sunset view. 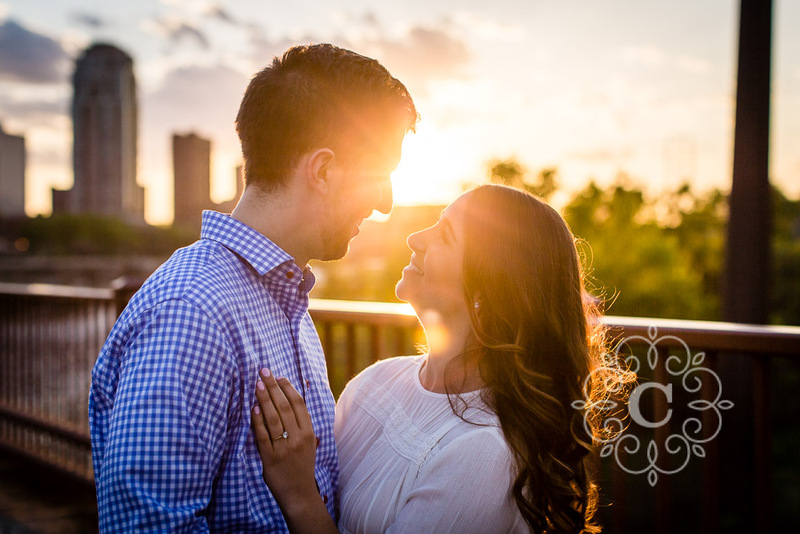 Chantel + Quinn really wanted those city views from the Bridge, and they were not disappointed. 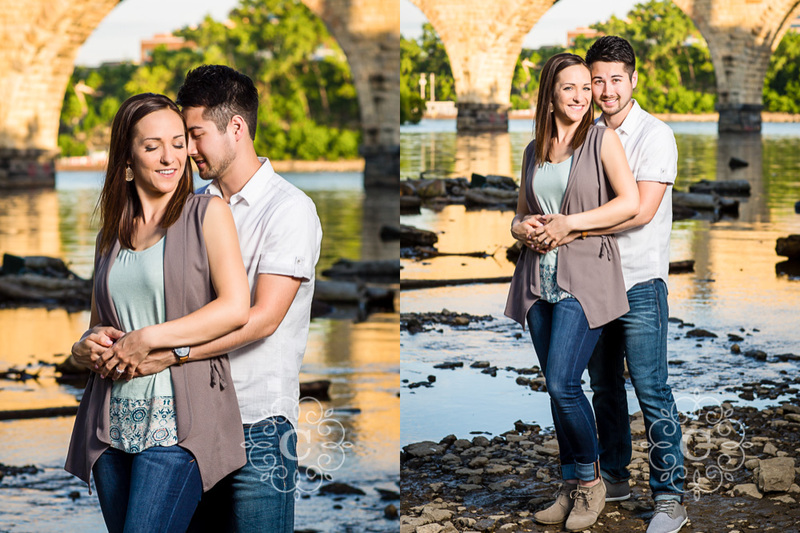 From the city views, to the flowering trees, to the vintage buildings, to the sunset over the river, everything looked so perfect. 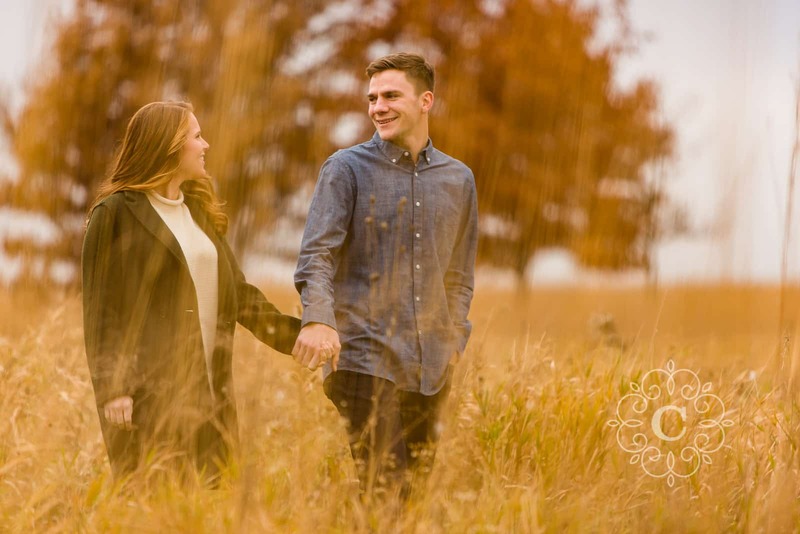 And the two of them were happy as could be – joy and laughter abound! 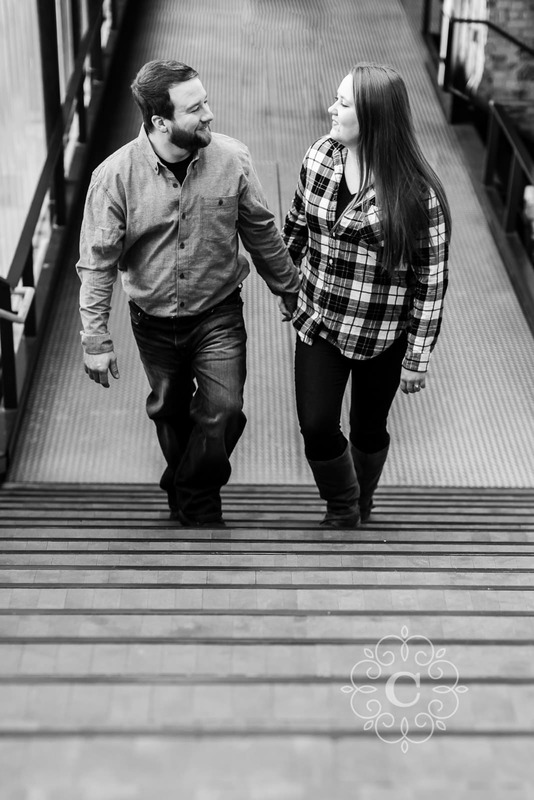 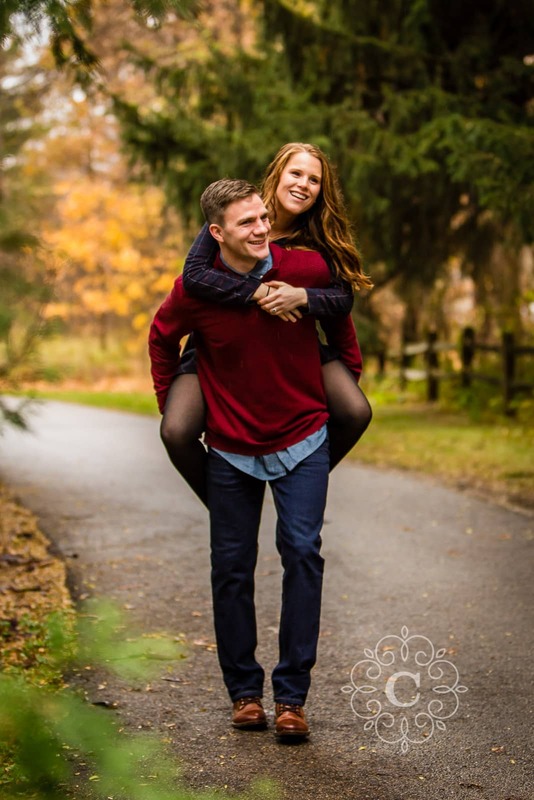 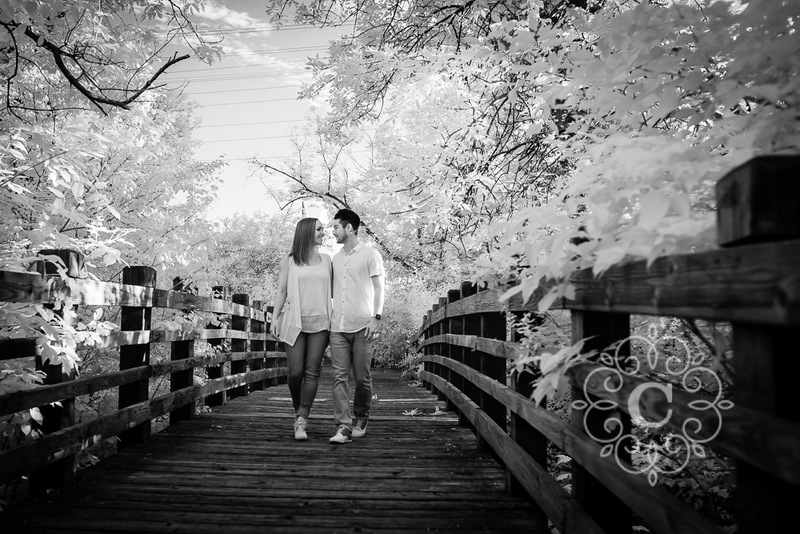 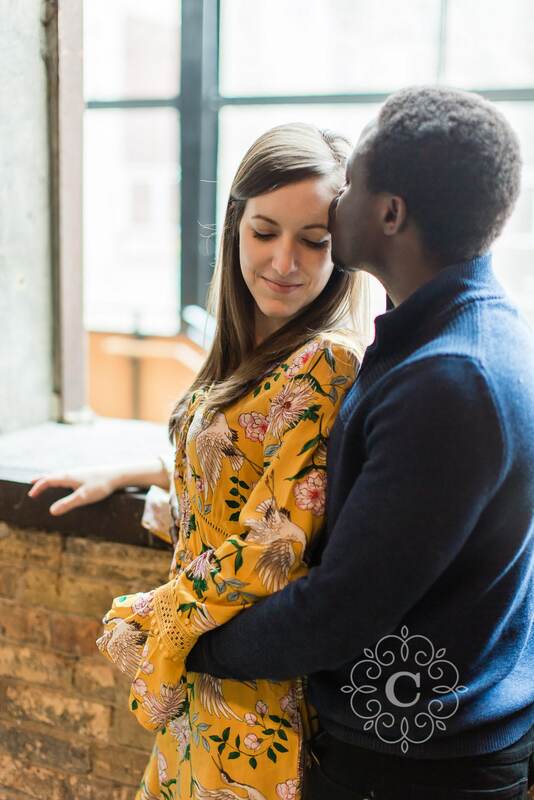 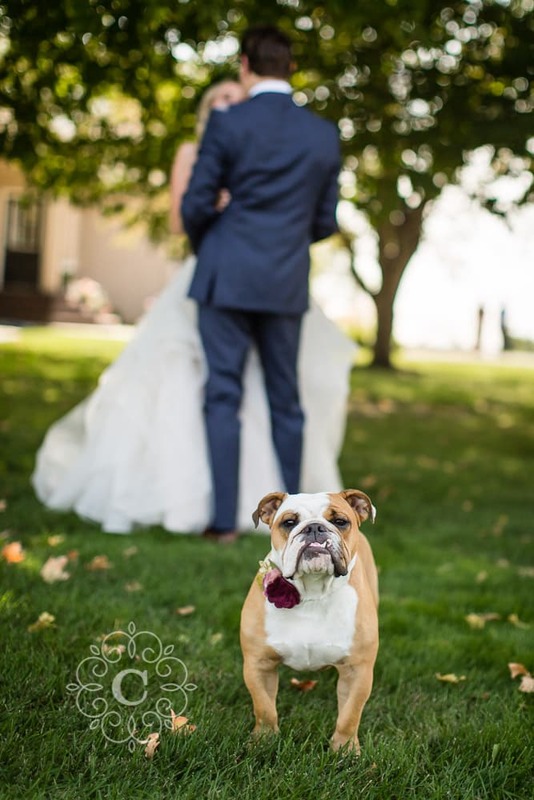 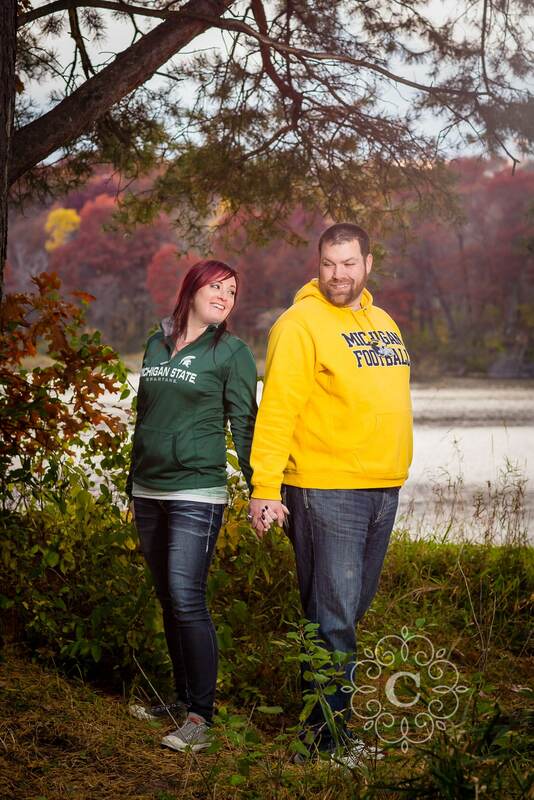 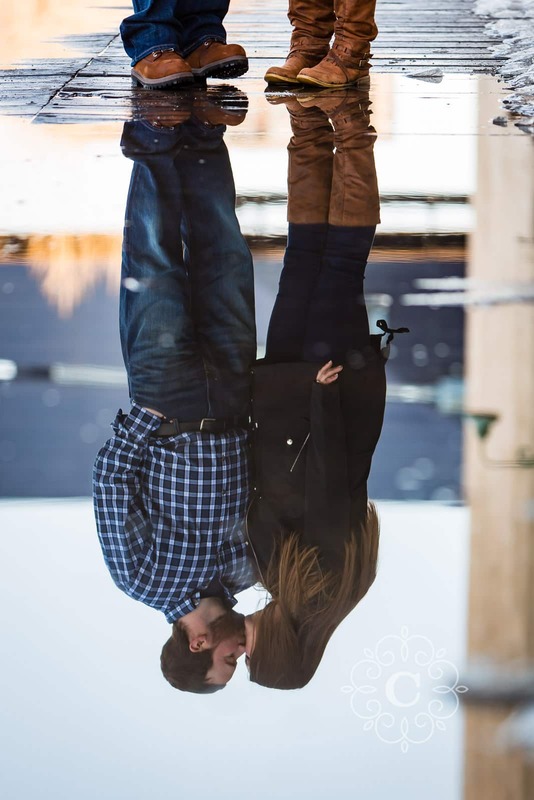 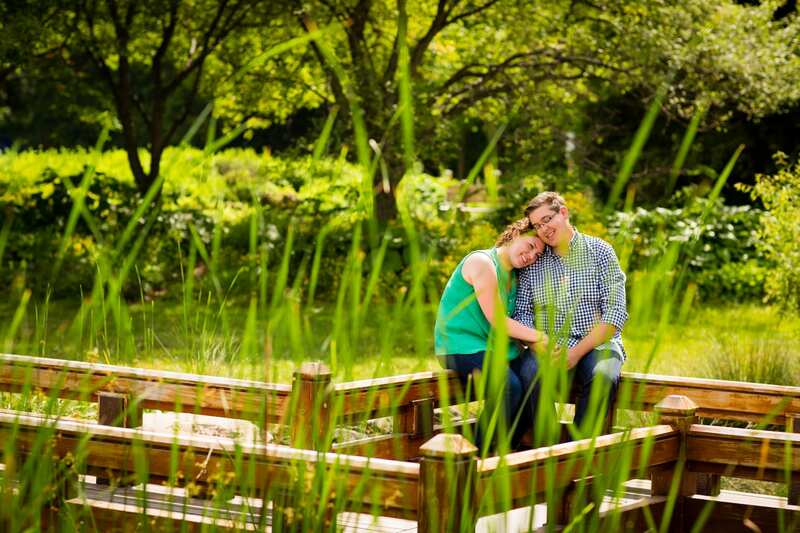 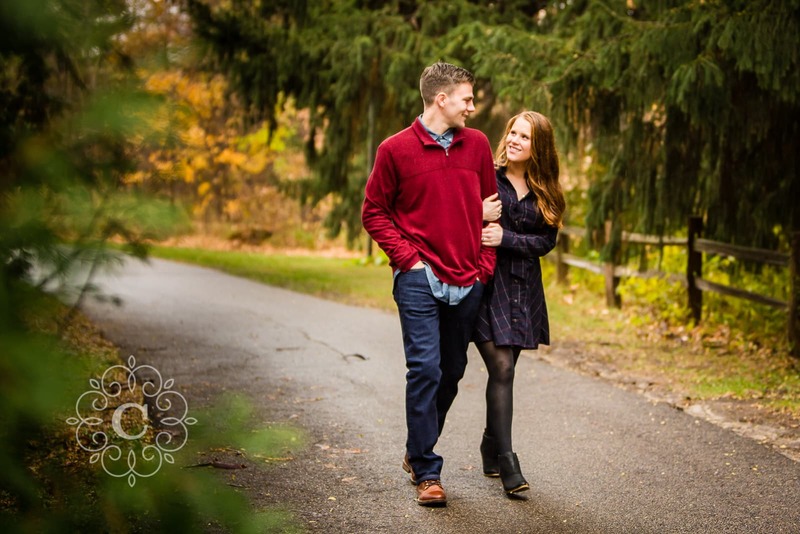 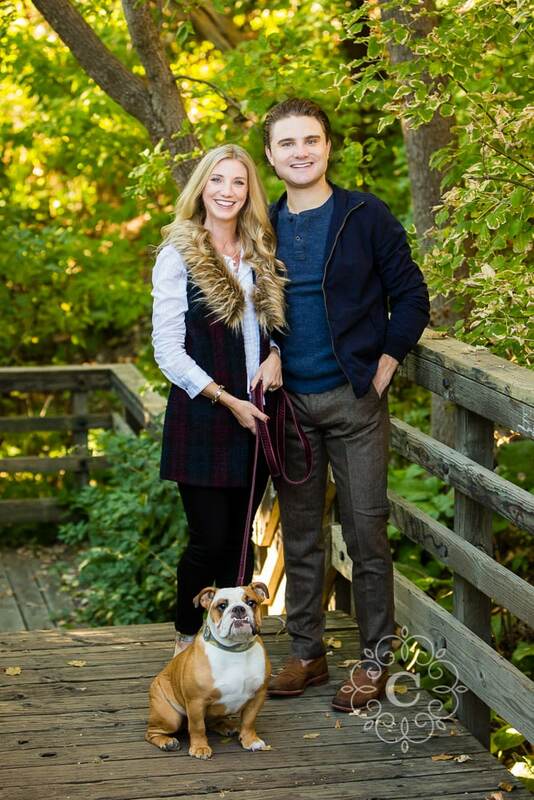 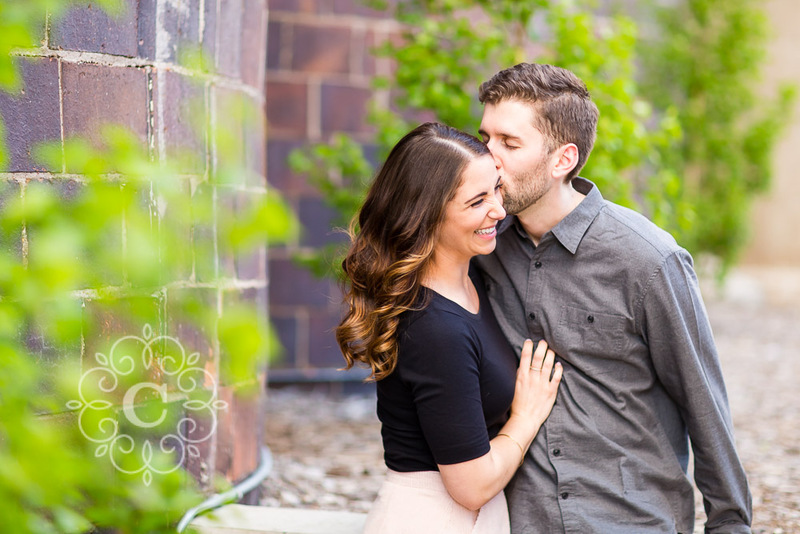 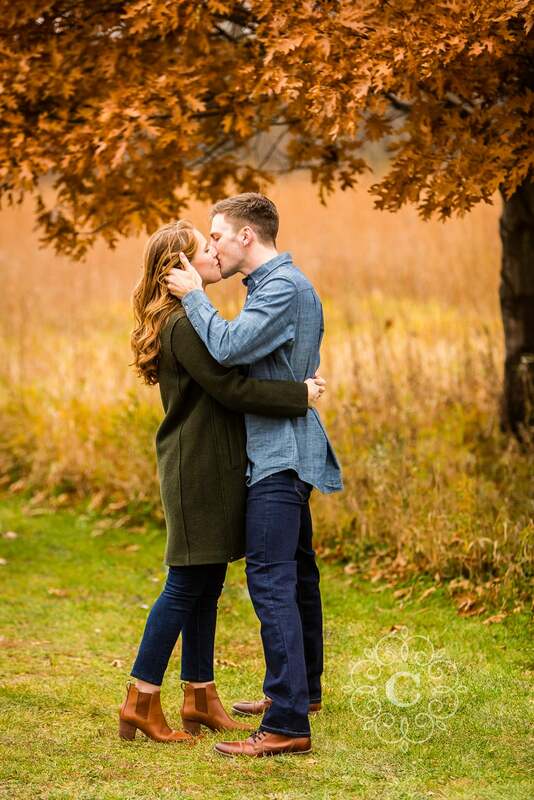 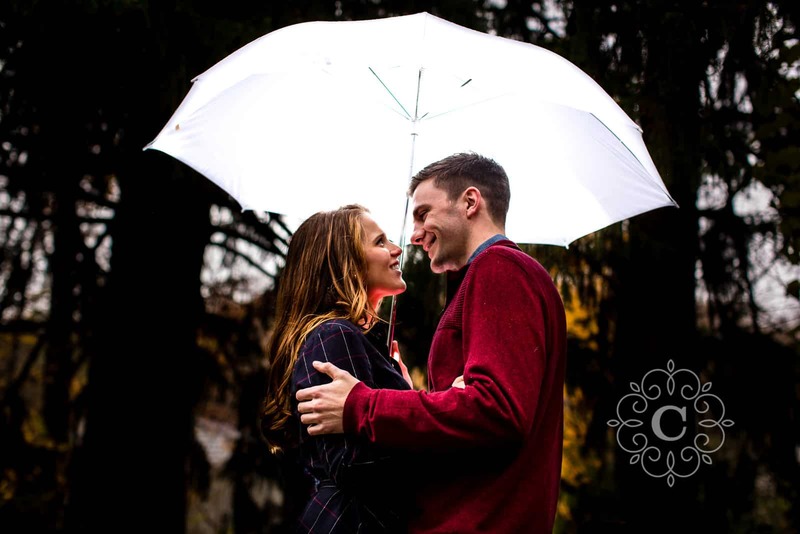 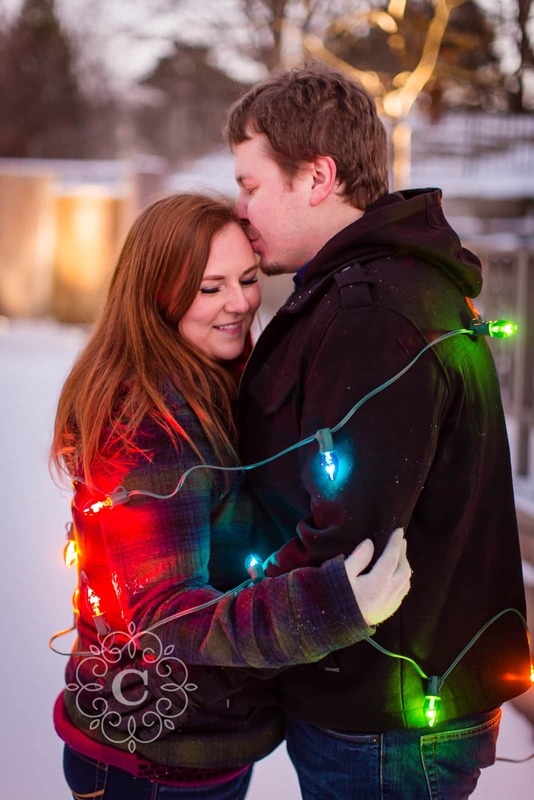 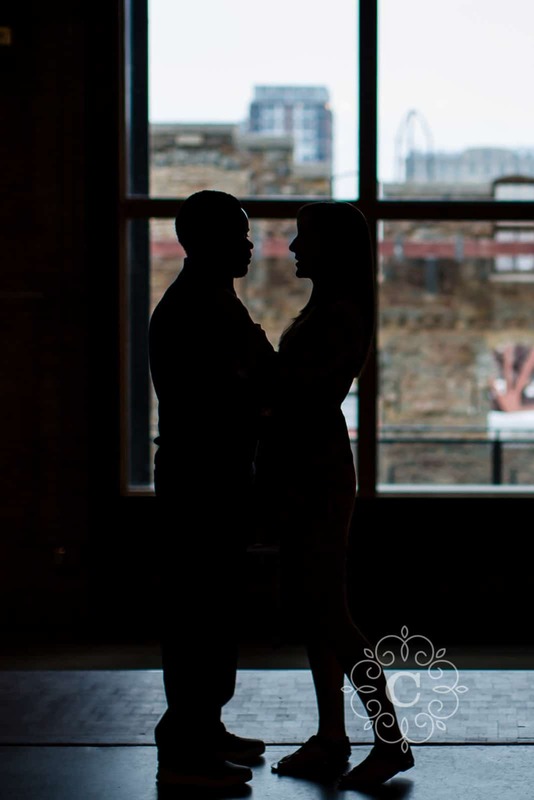 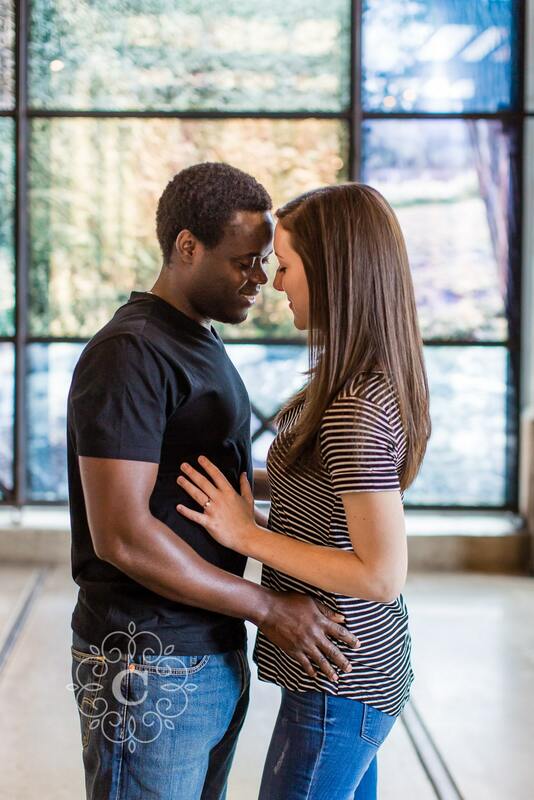 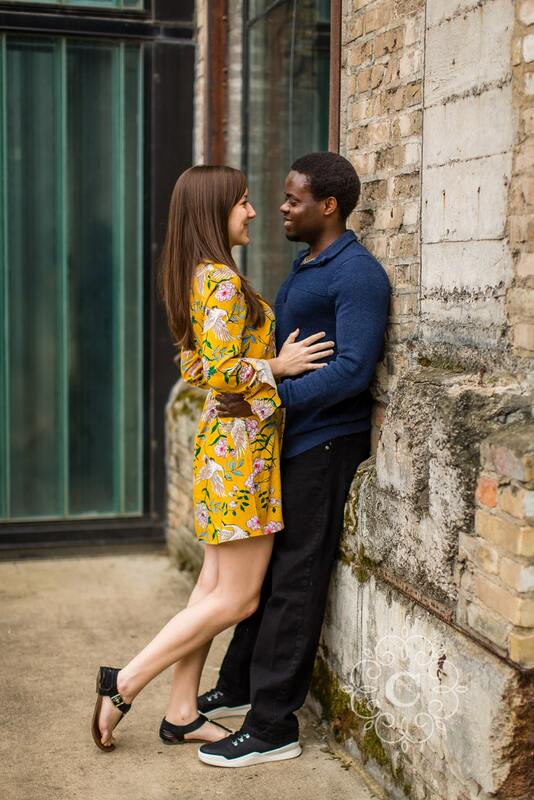 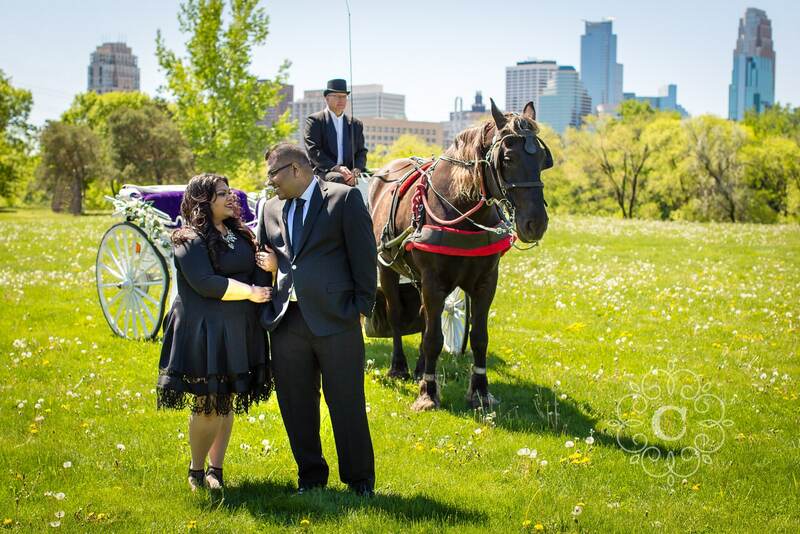 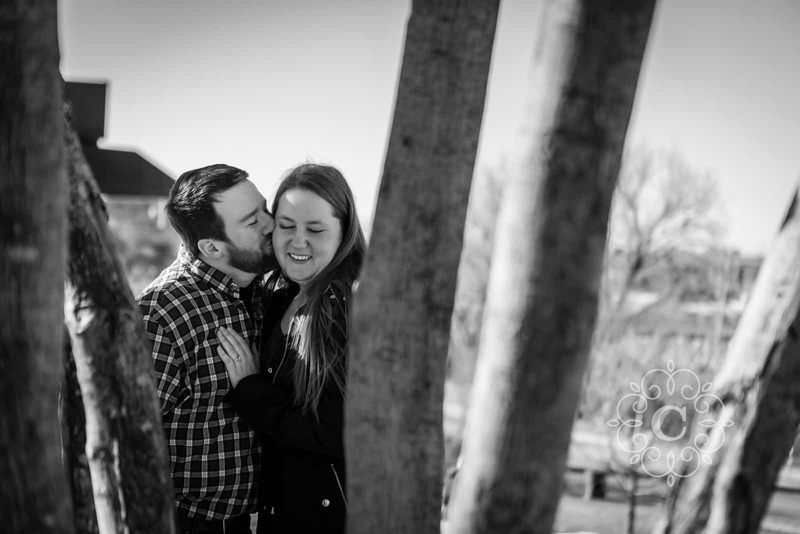 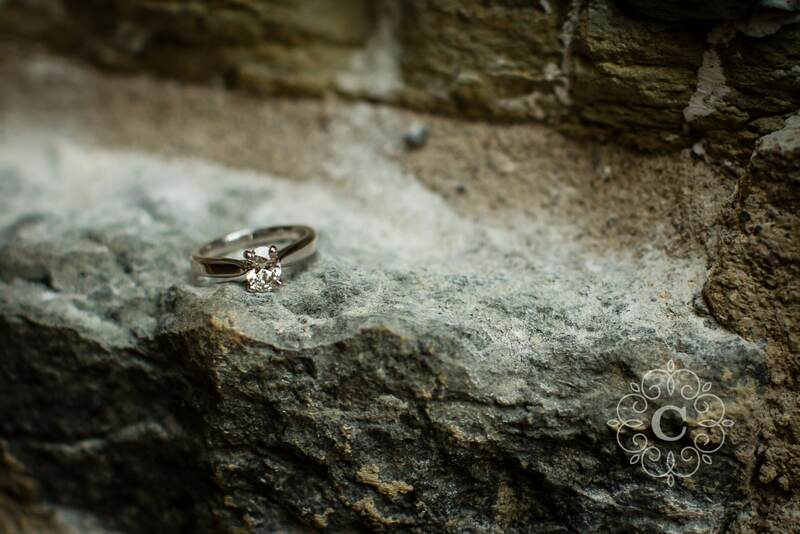 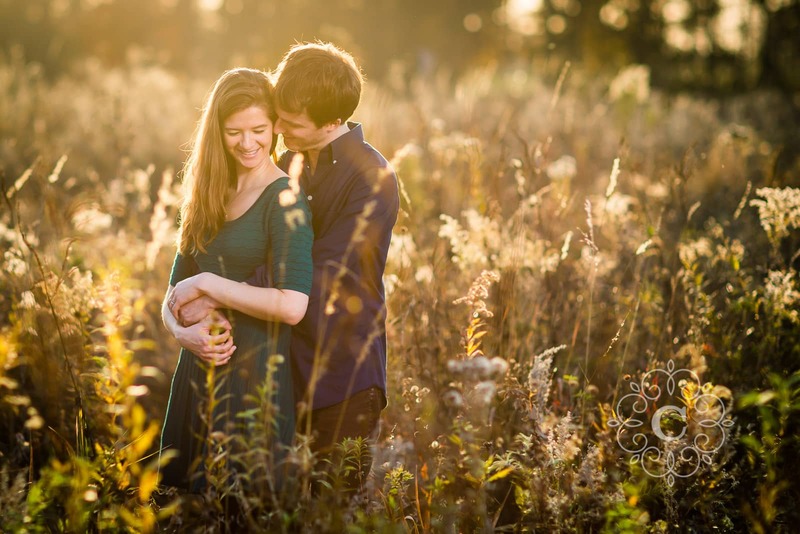 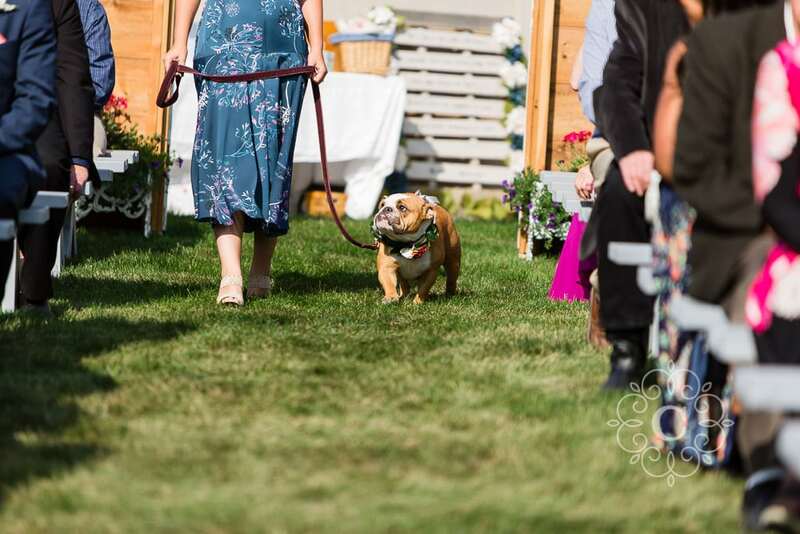 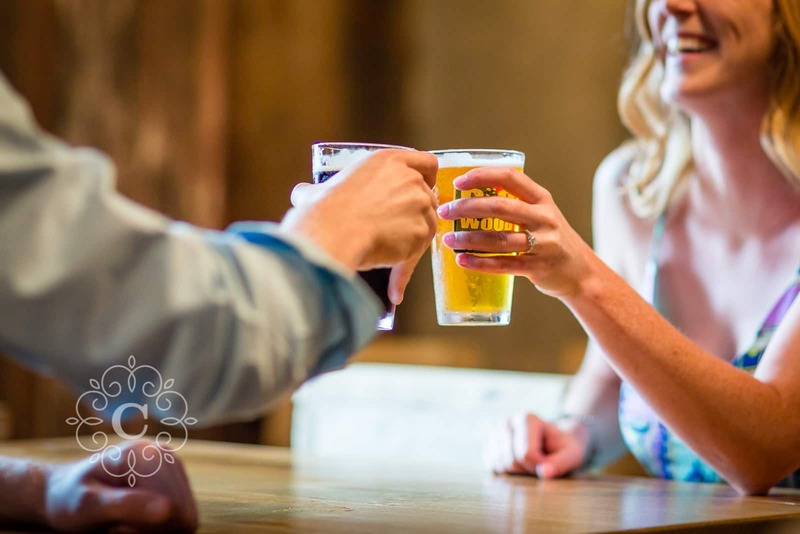 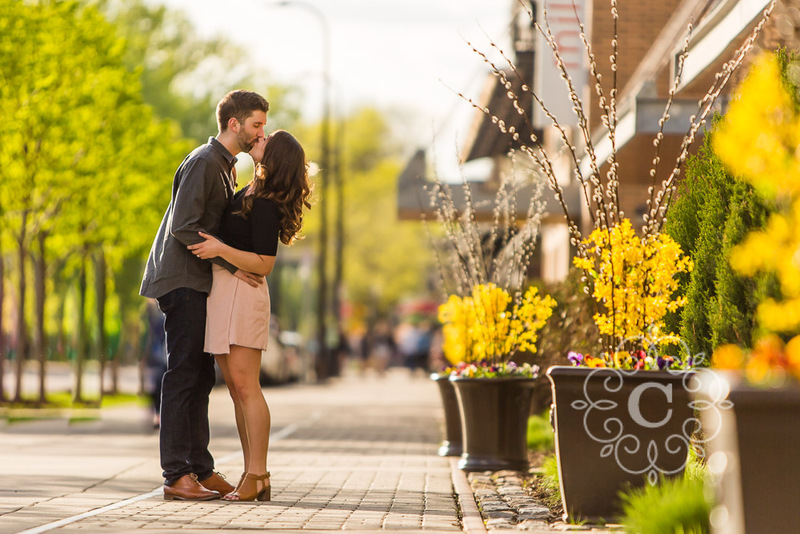 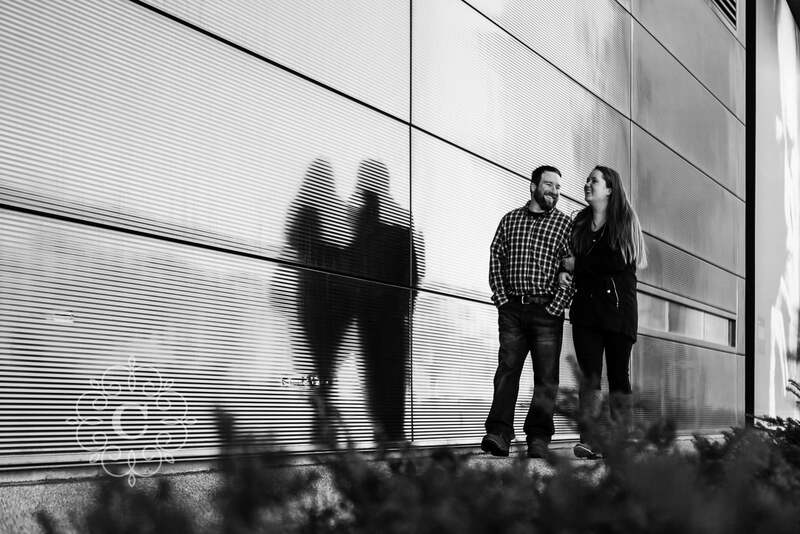 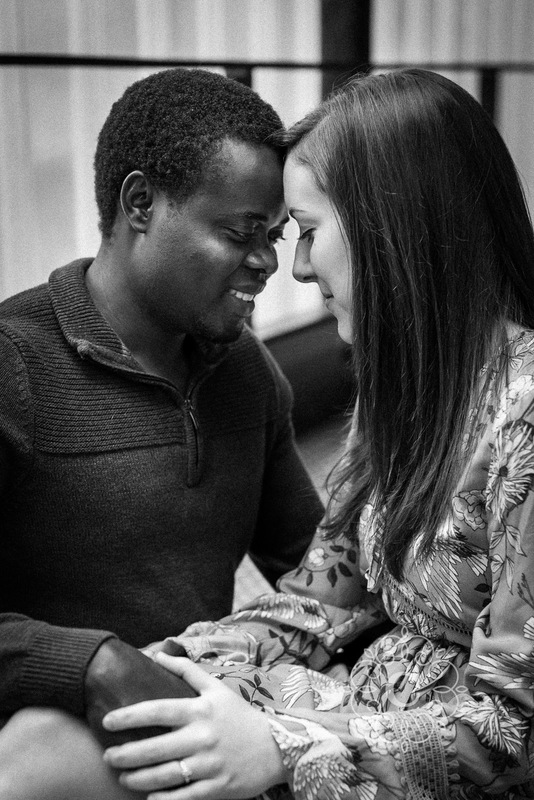 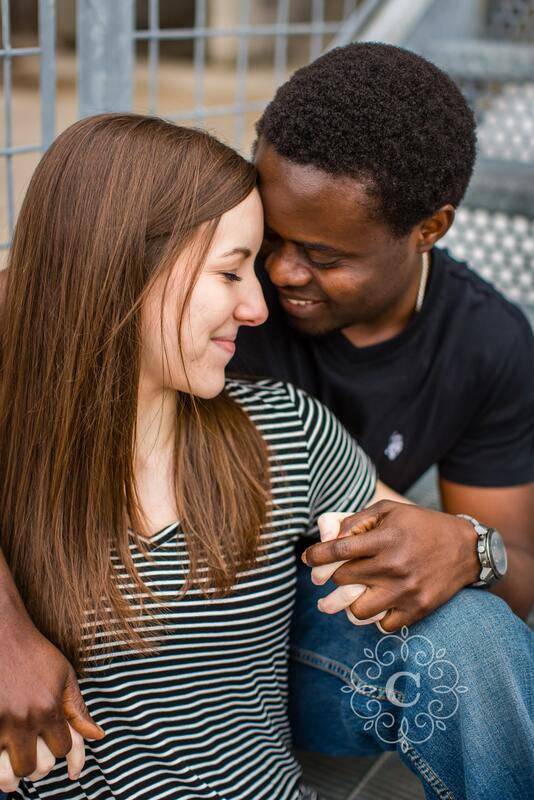 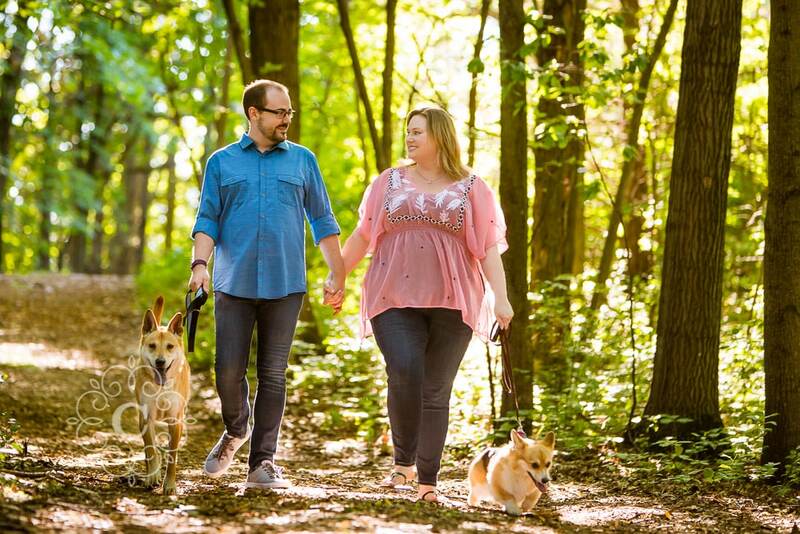 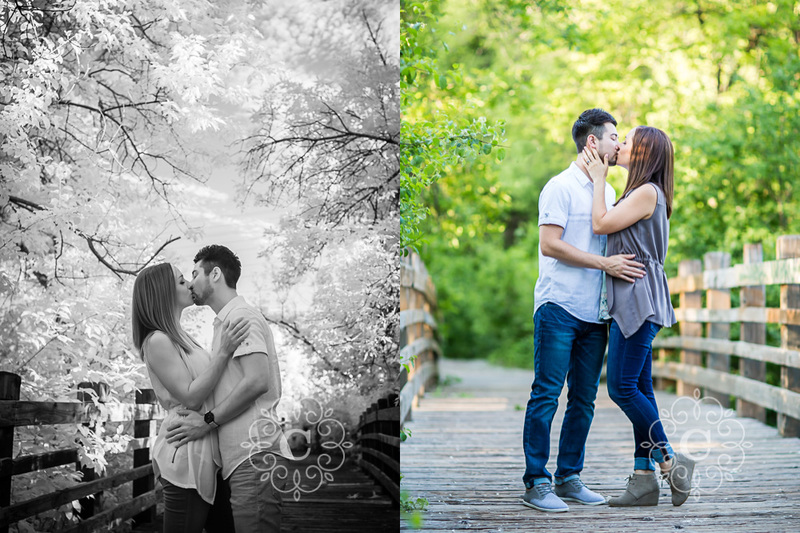 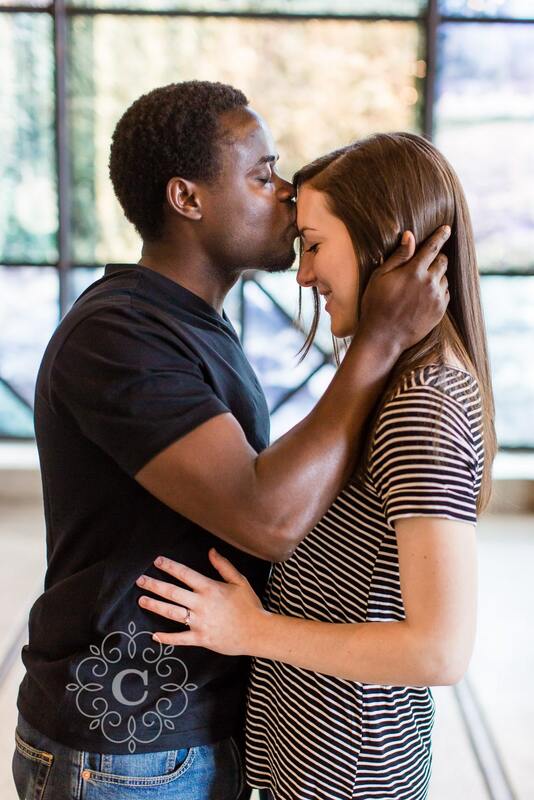 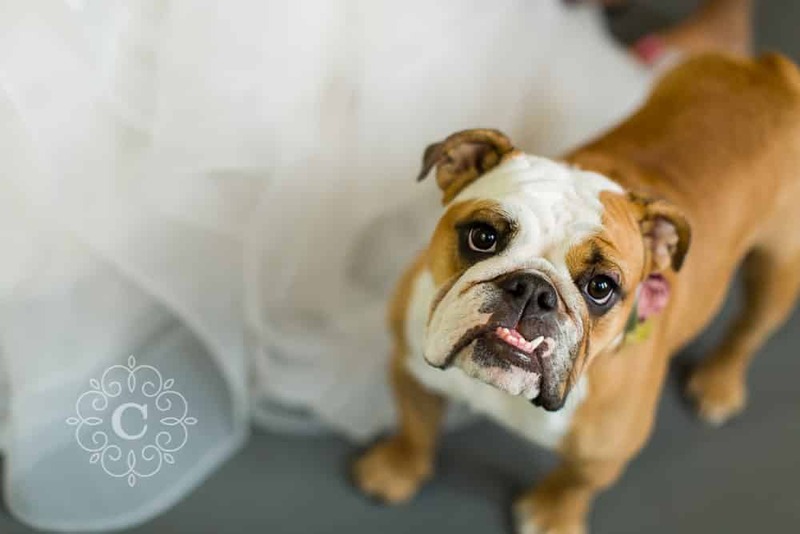 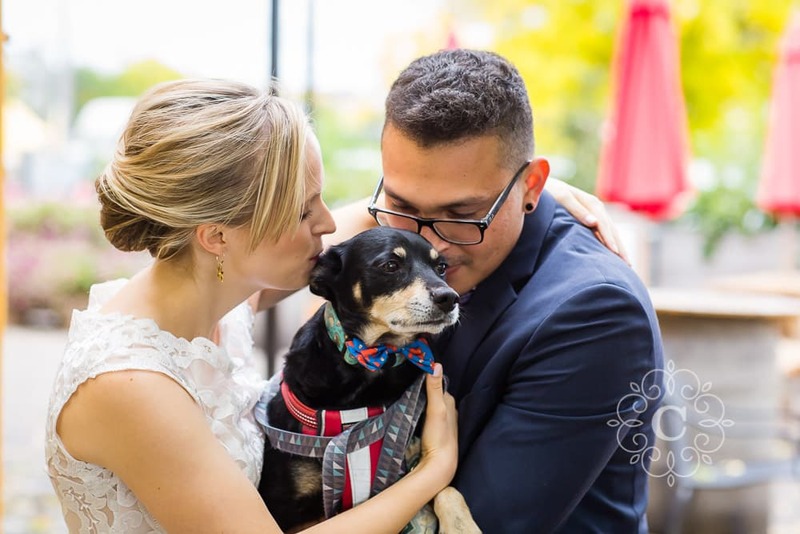 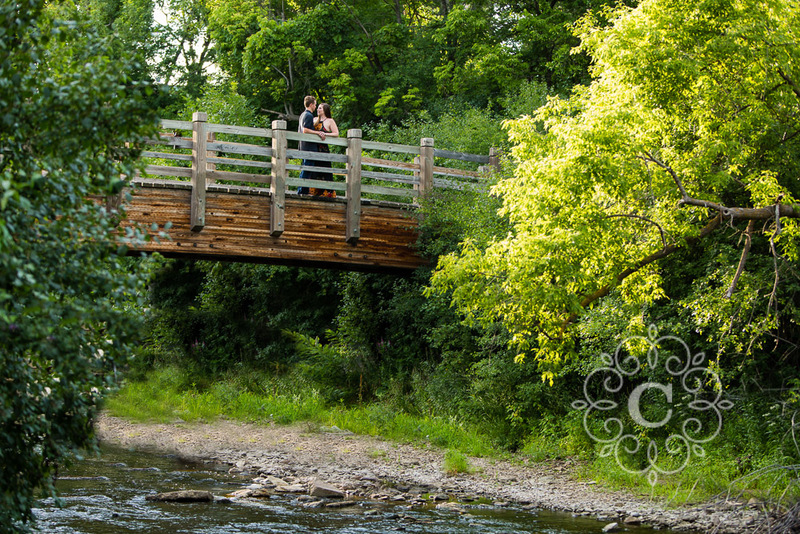 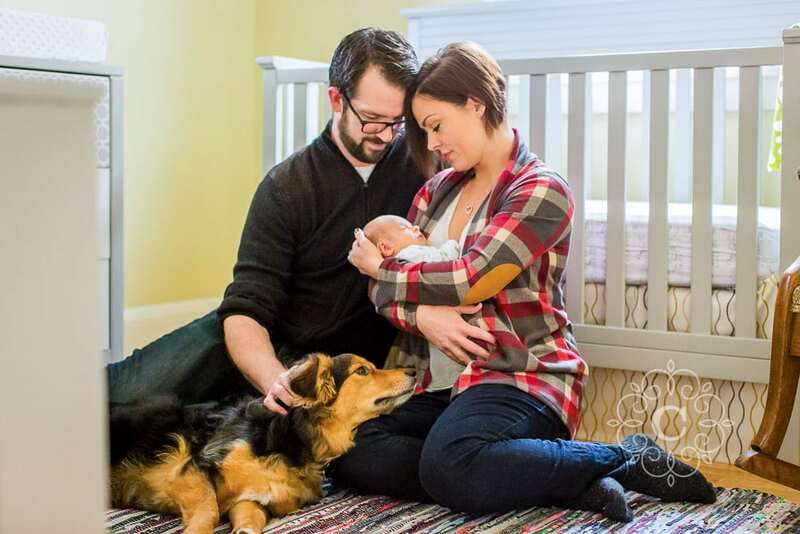 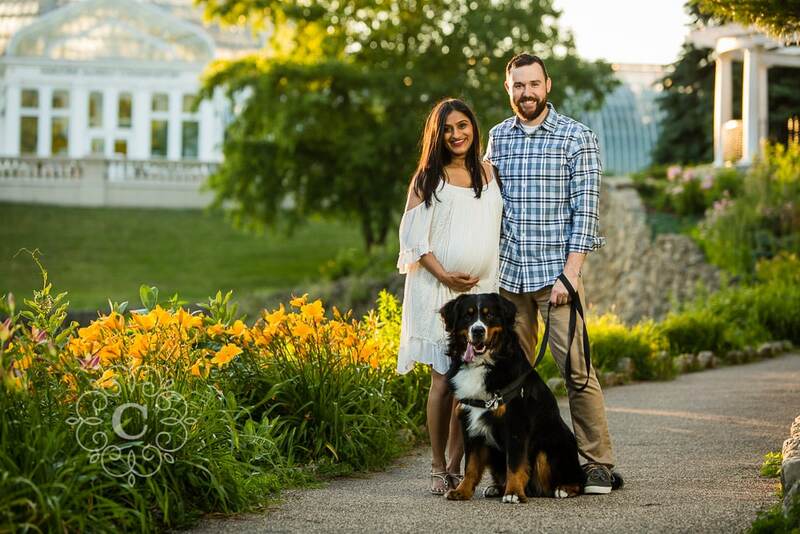 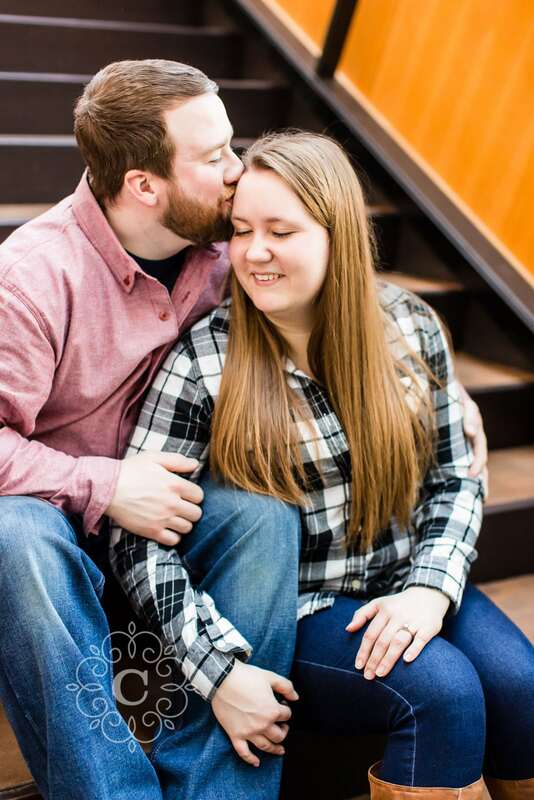 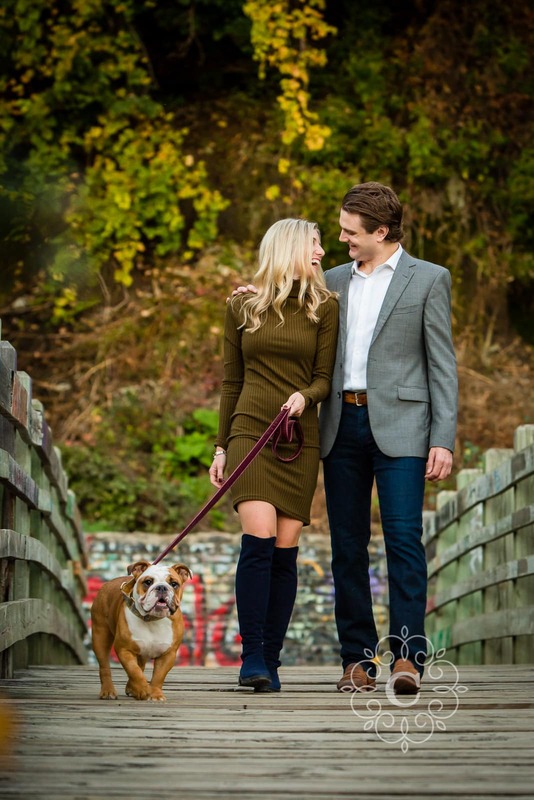 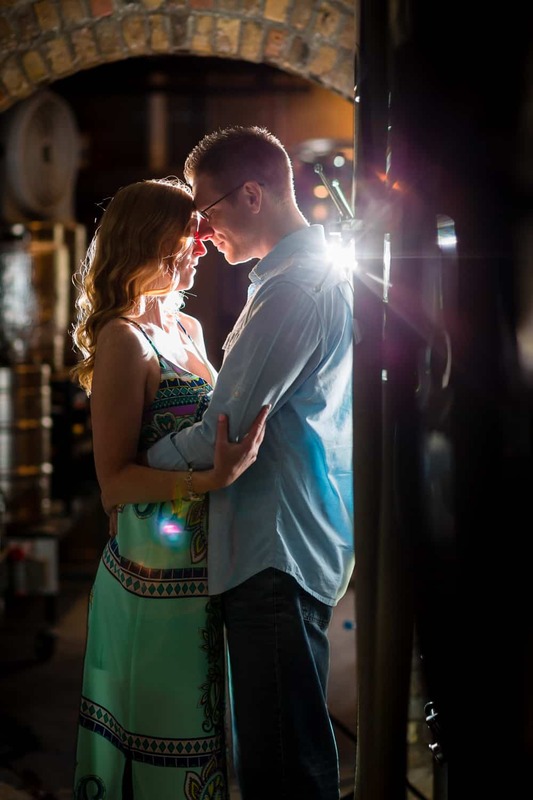 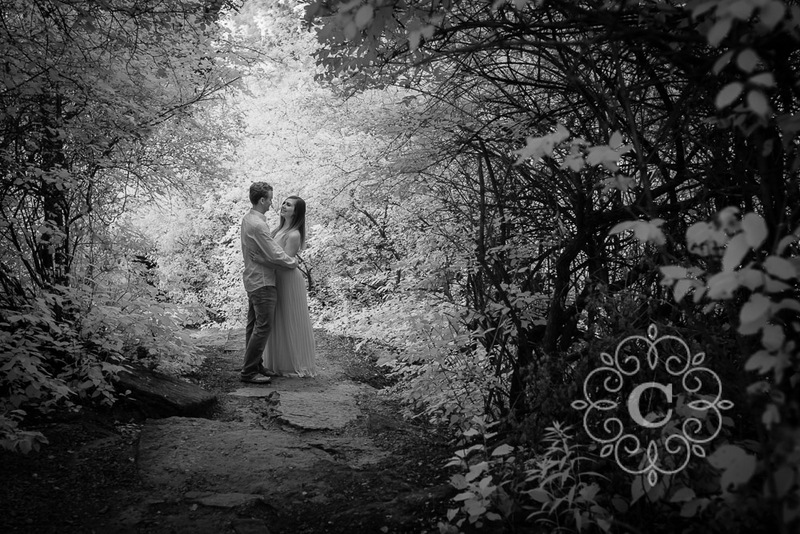 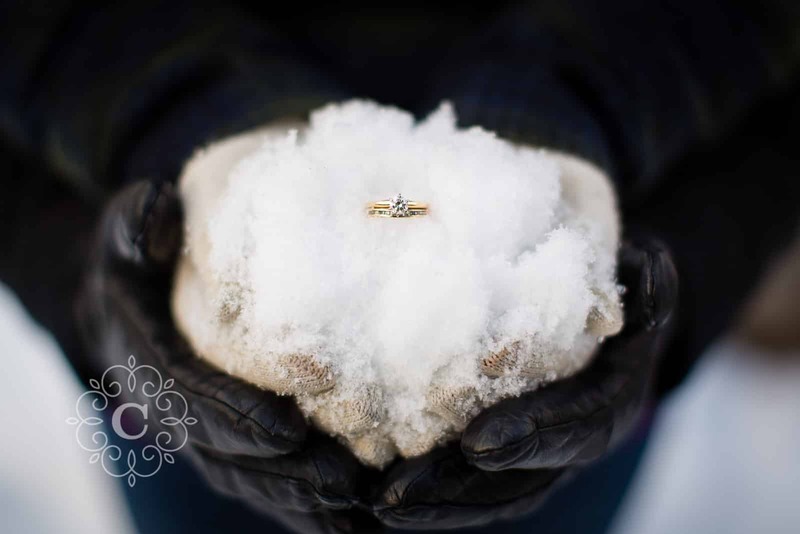 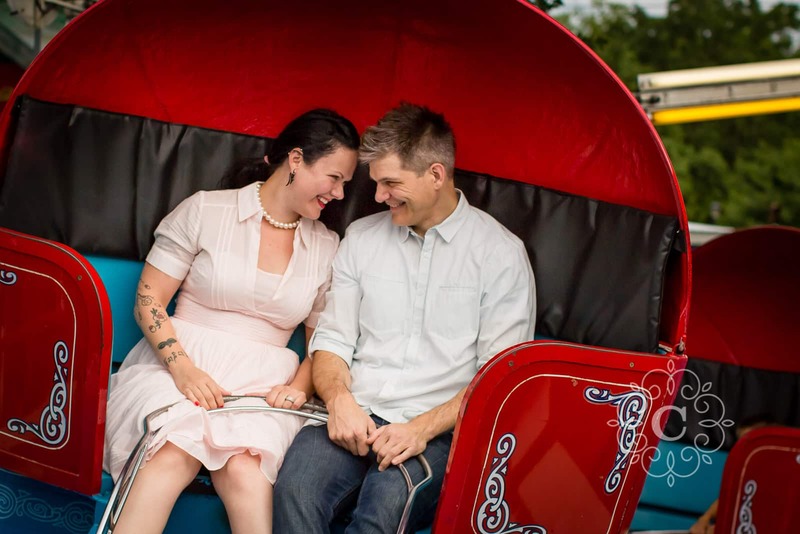 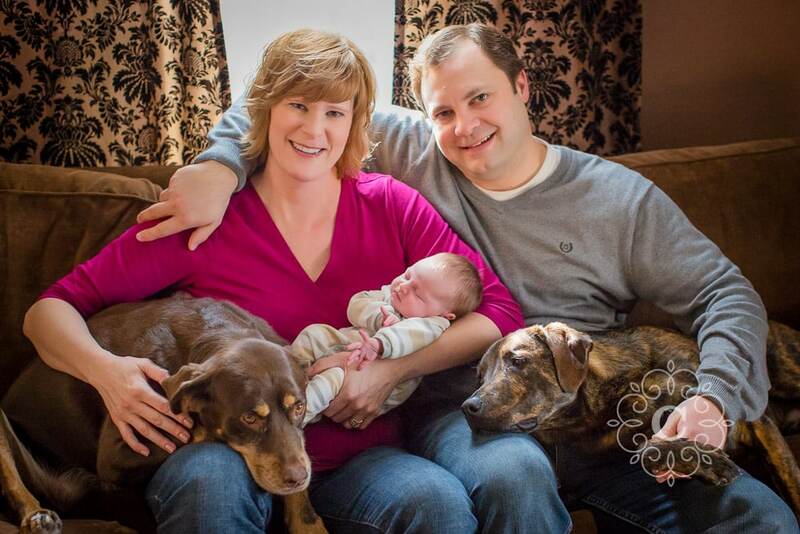 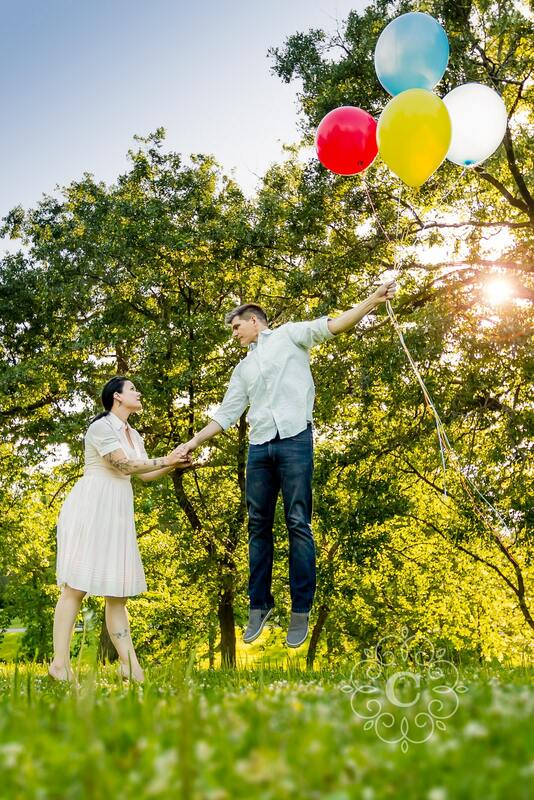 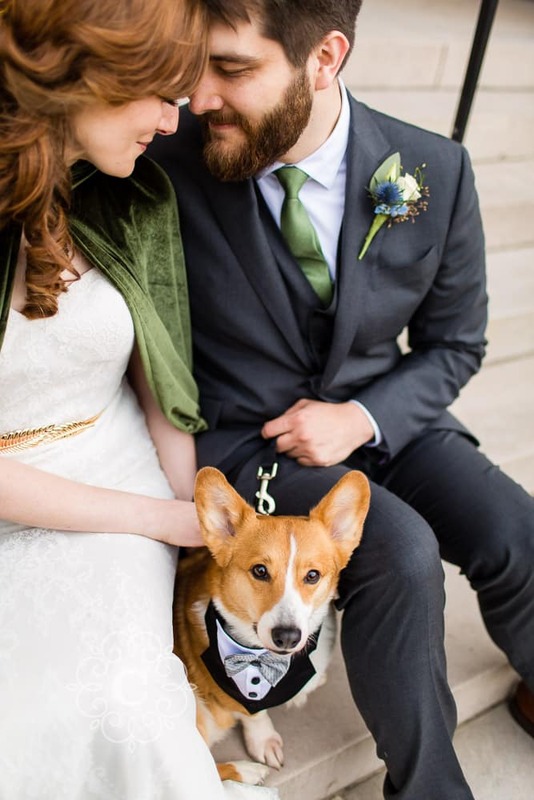 ETA: Make sure to check out Chantel + Quinn’s beautiful Paikka and Lake of the Isles Lutheran Church wedding day too!